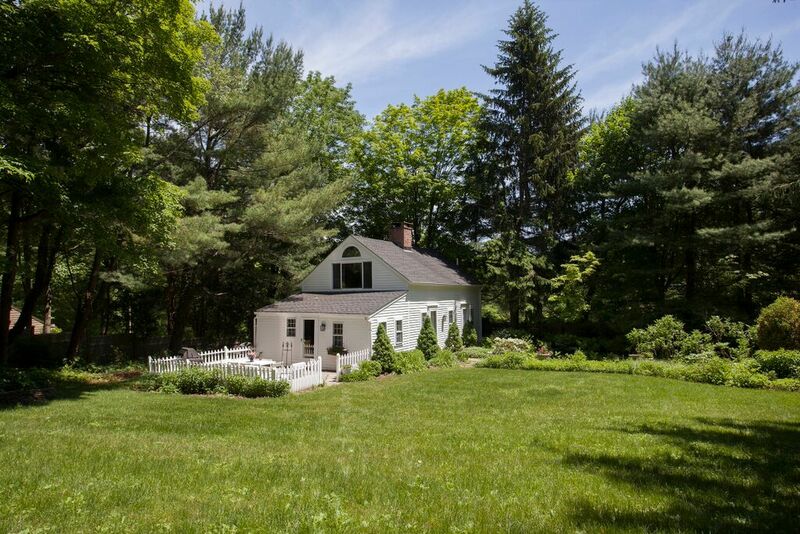 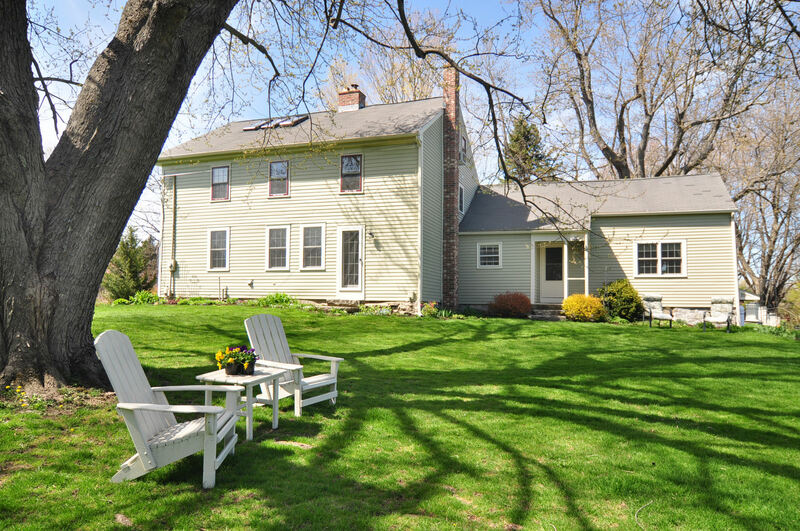 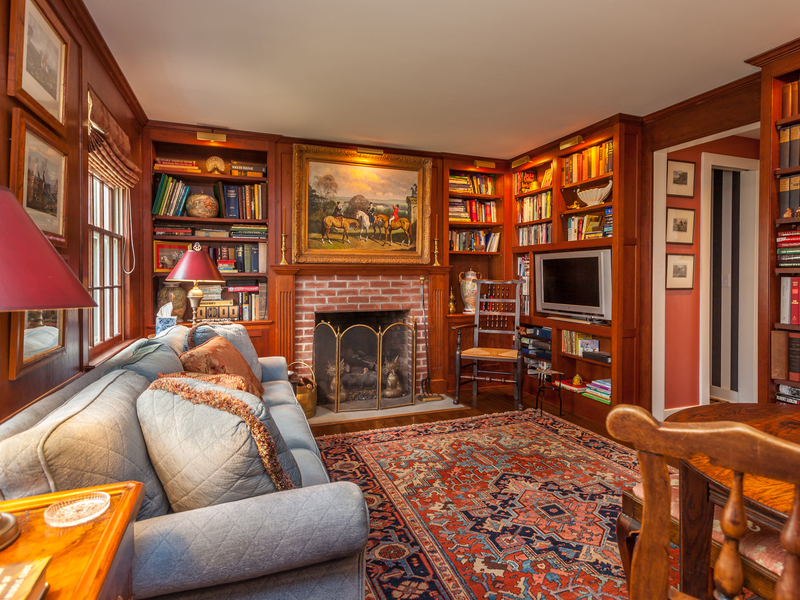 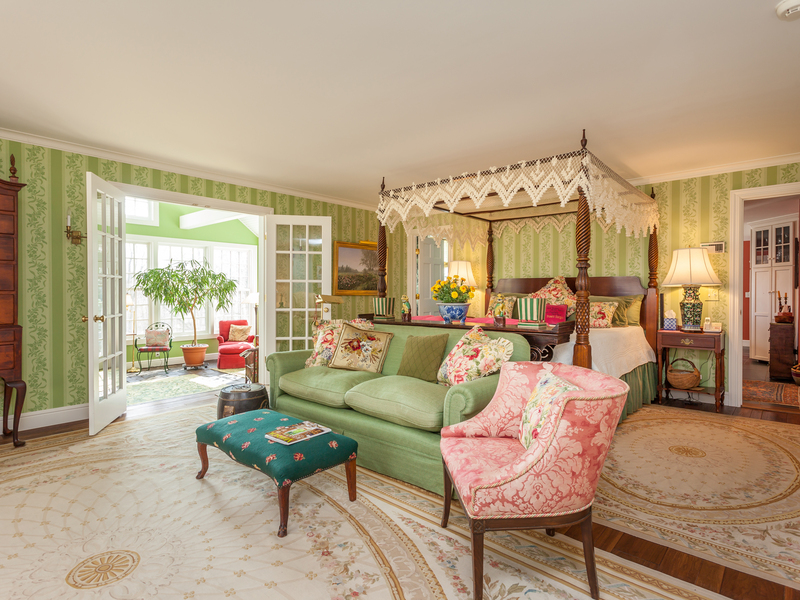 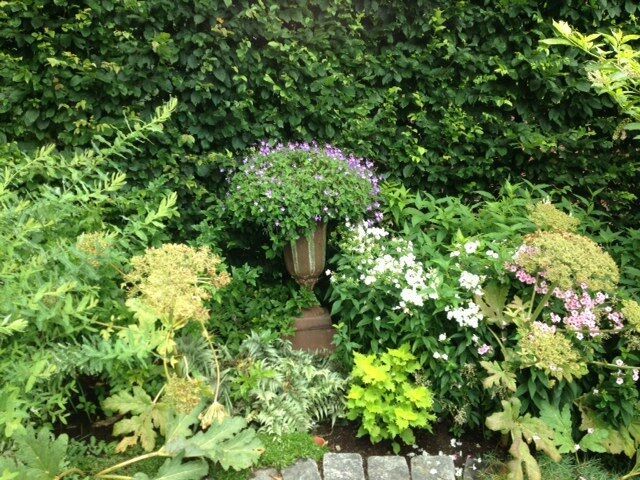 A lovely antique country retreat in New Preston, CT.
New Preston is a rural village in the northwestern corner of the town of Washington in Litchfield County. 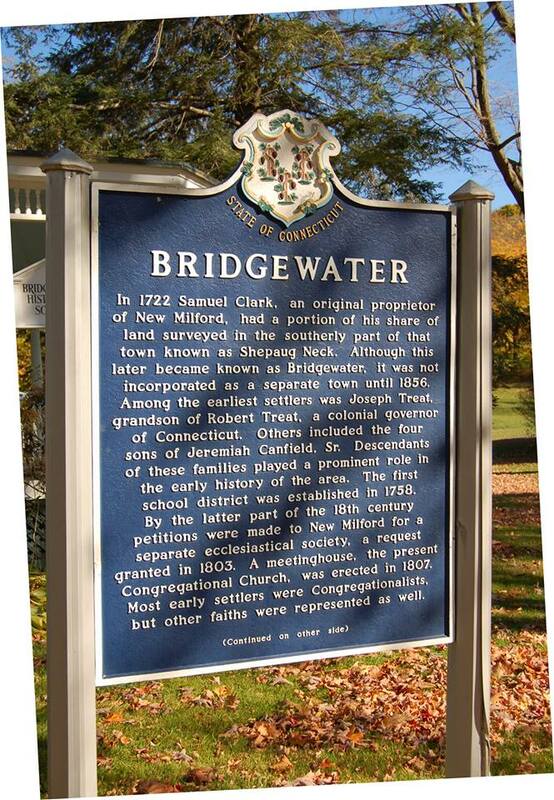 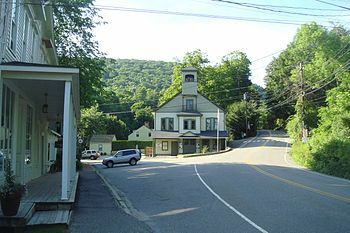 In the early 19th century, there were several mills and factories along the Aspetuck River which flows from Lake Waramaug into the village center. 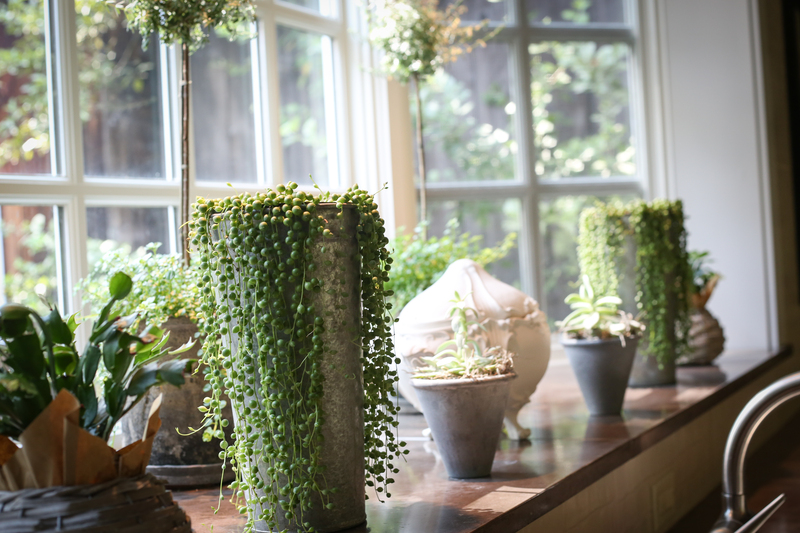 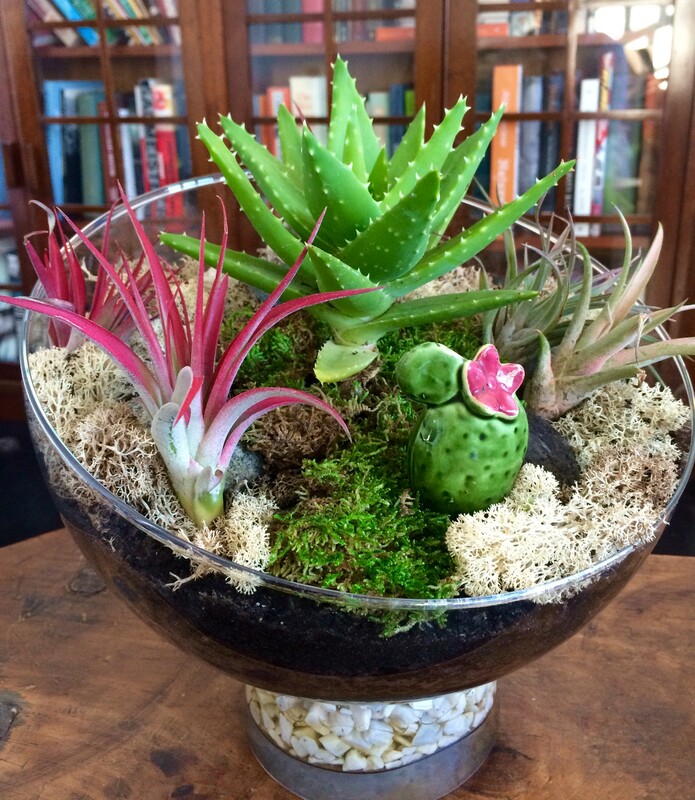 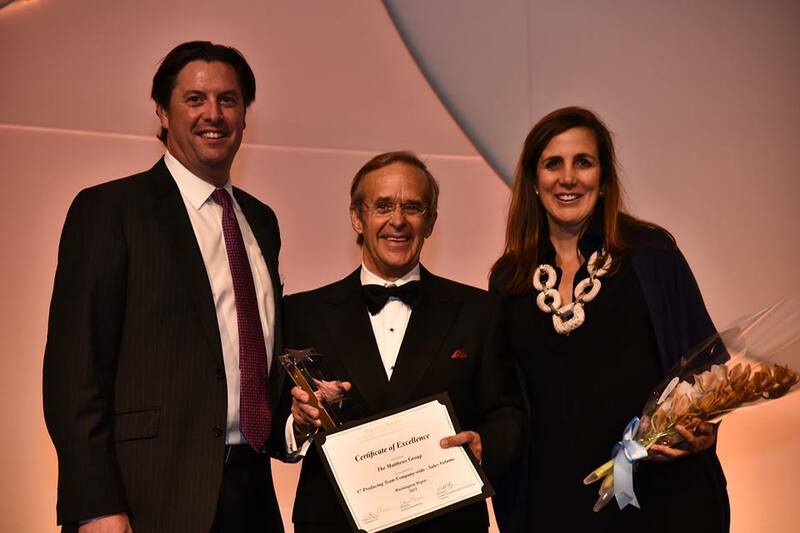 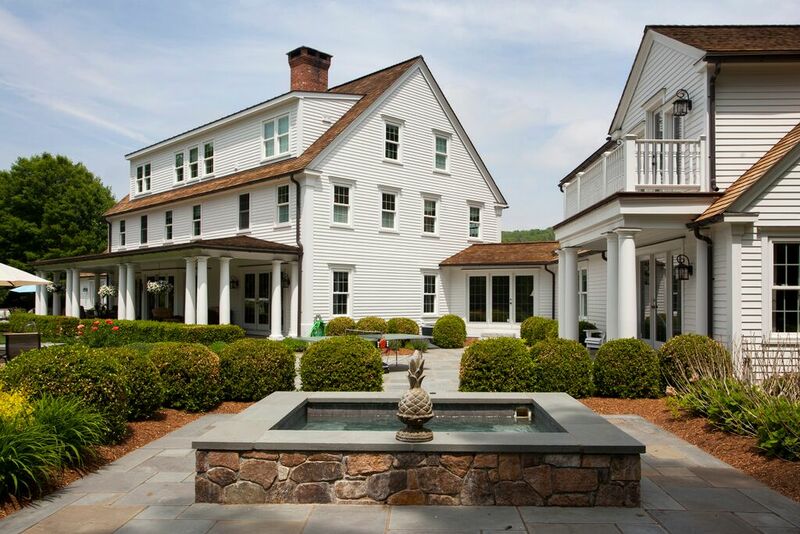 More recently, there was a retail renaissance on the main street starting in the 1980's with the opening of distinctive antique stores, garden shops, home and gift emporiums that include J.Seitz & Co, Pergola, Privet House, Dawn Hill Antiques and DK Schulman Design. 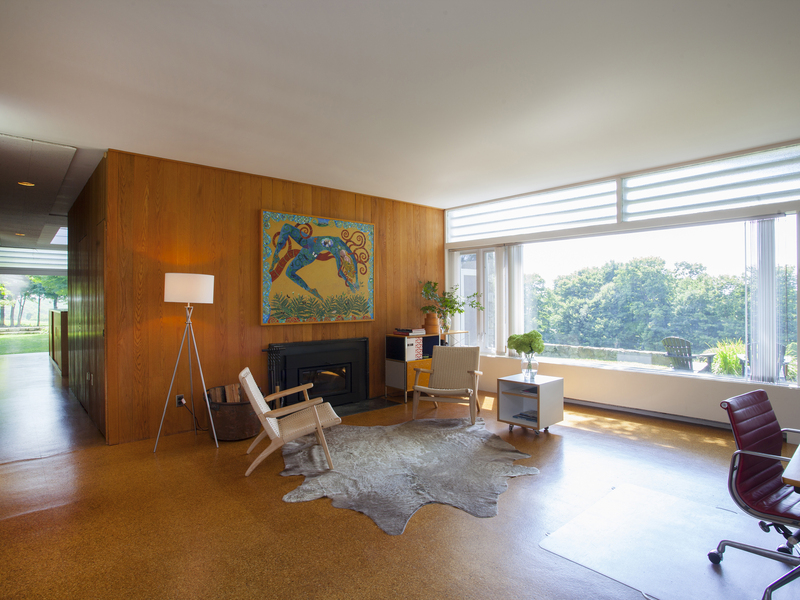 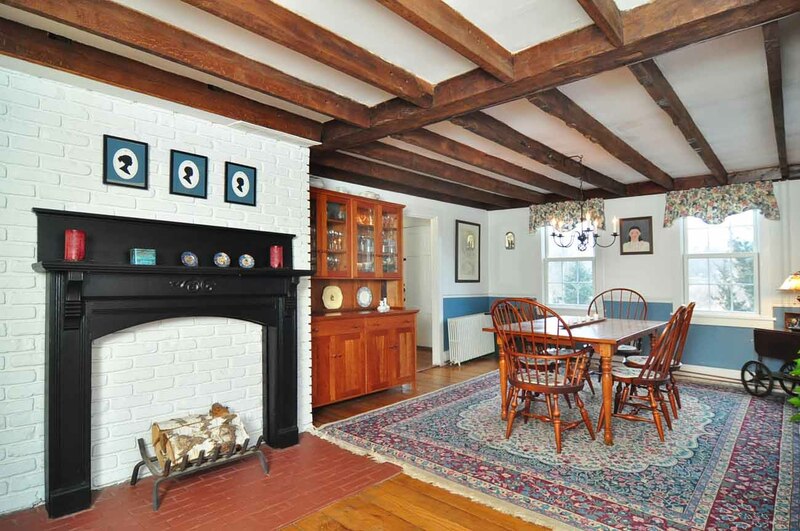 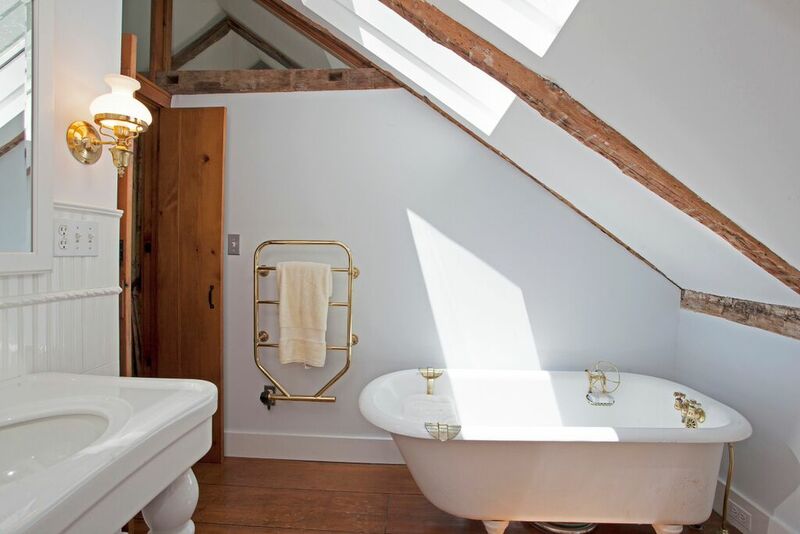 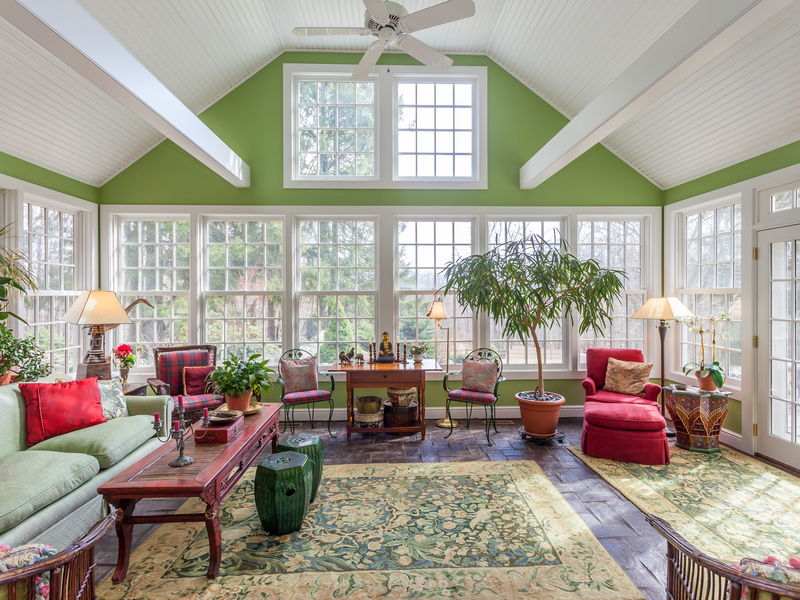 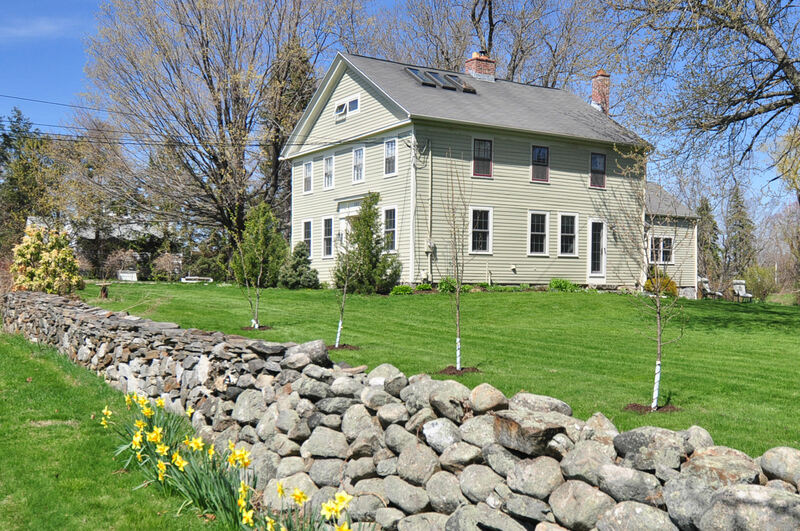 This exquiste antique home in New Preston was once a Quaker meeting house and retains many original details. 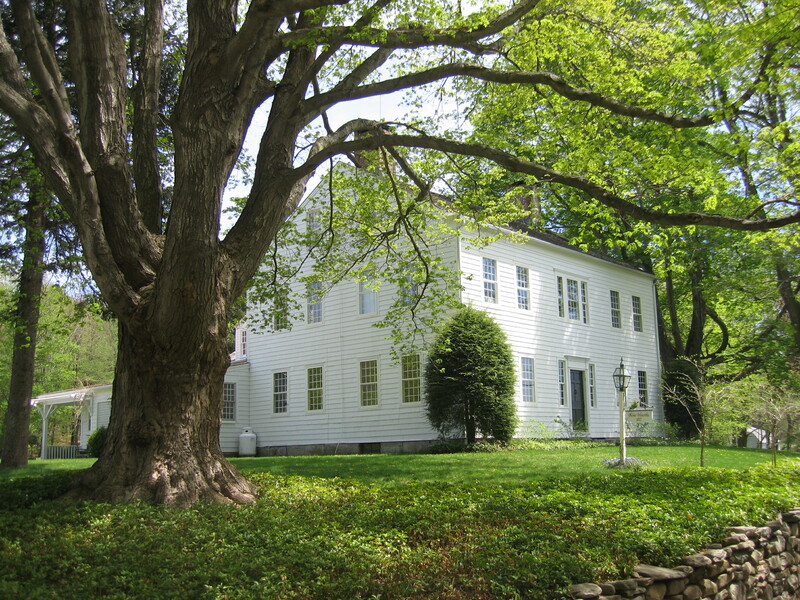 Above is a side view of the house and patio. 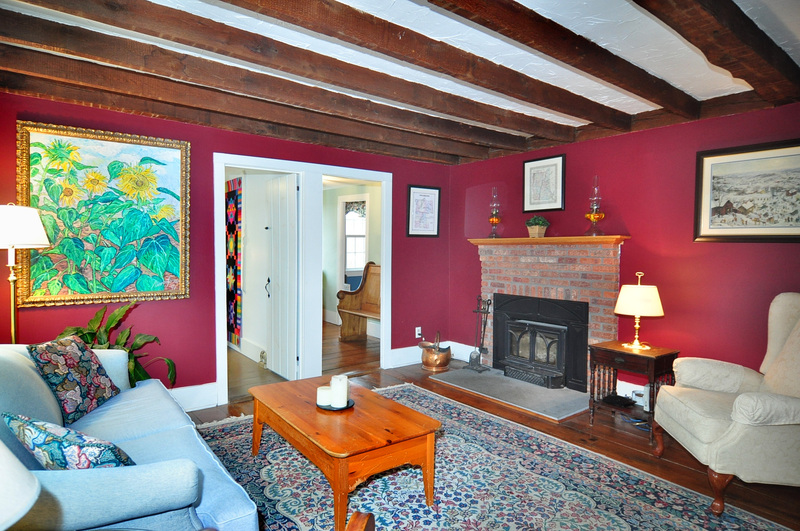 There are exposed beams and vaulted ceilings throughtout the two bedroom/ two bathroom home. 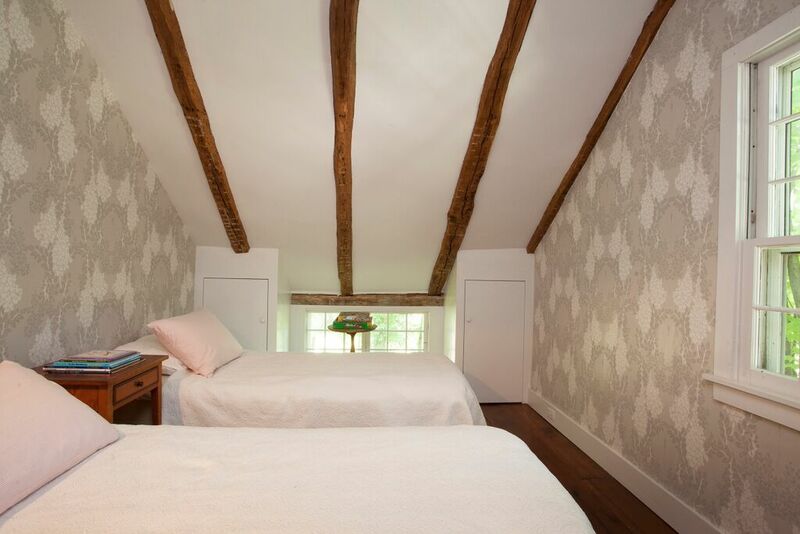 Both bedrooms have a rustic and elegant charm. 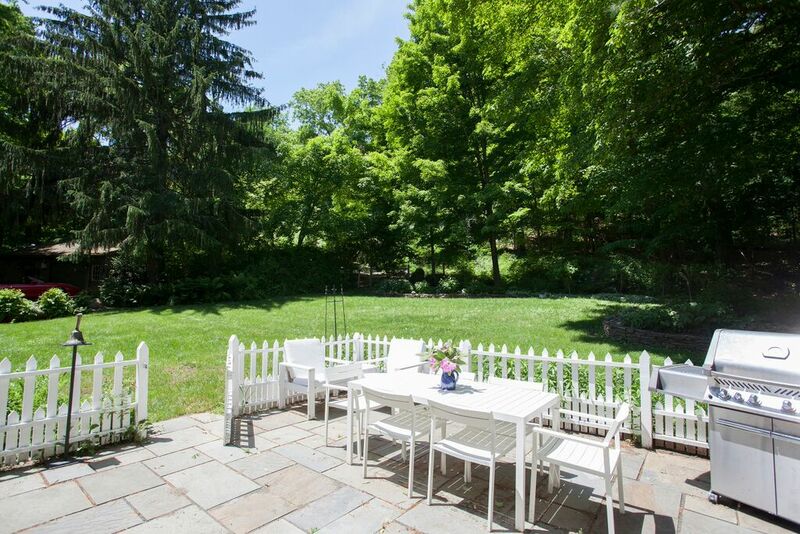 The kitchen opens to a stone terrace and professionally landscaped gardens. 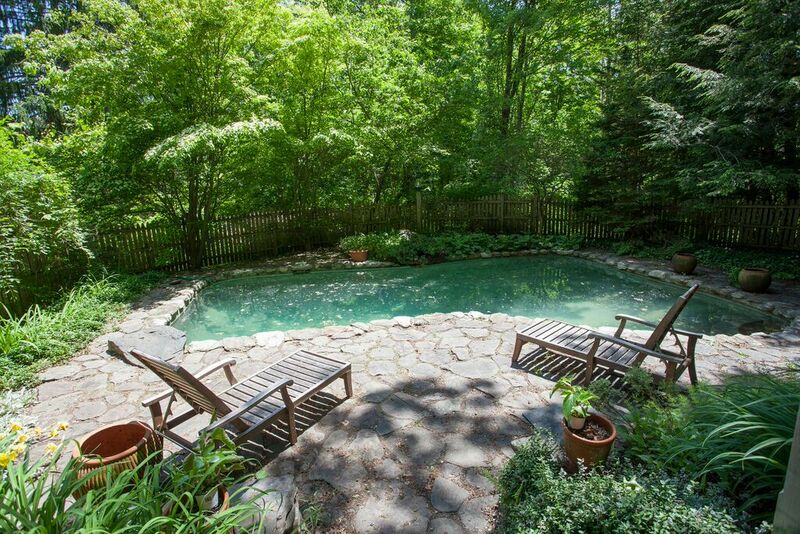 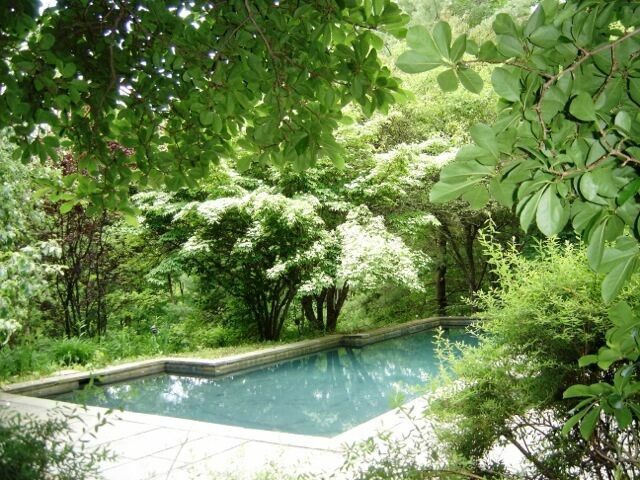 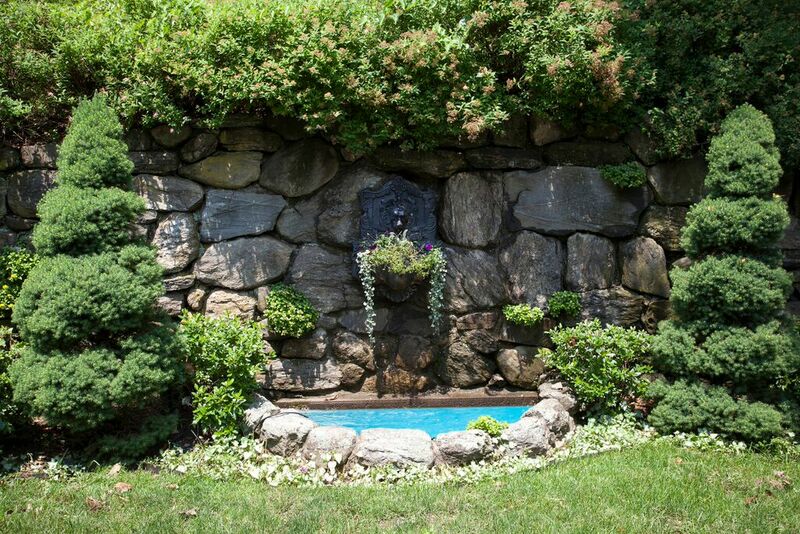 There is a hideaway gunite pool area with a tiered terrace and gardens. 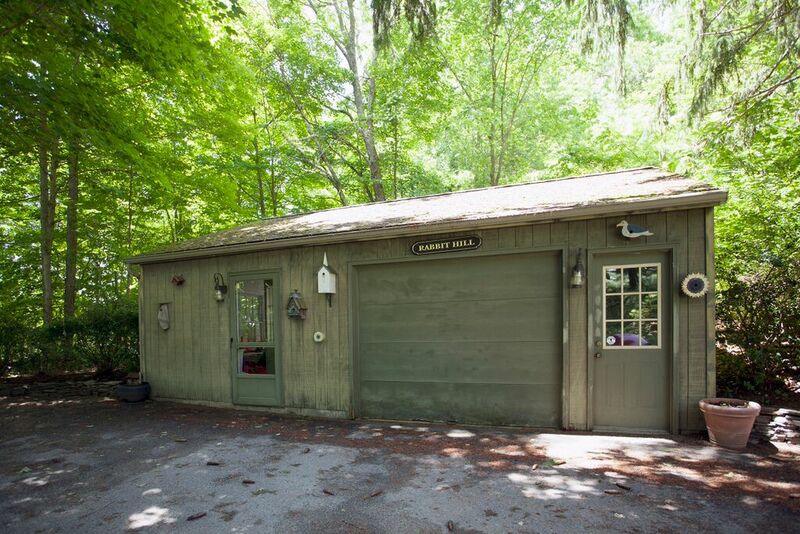 A one car garage has an attached studio. 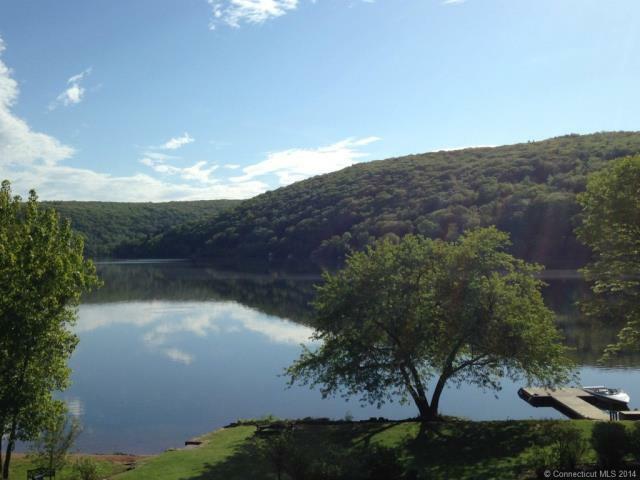 New Preston is nestled next to Lake Waramaug, a pristine scenic water body perfect for water sports, sunset picnics, hiking and biking. 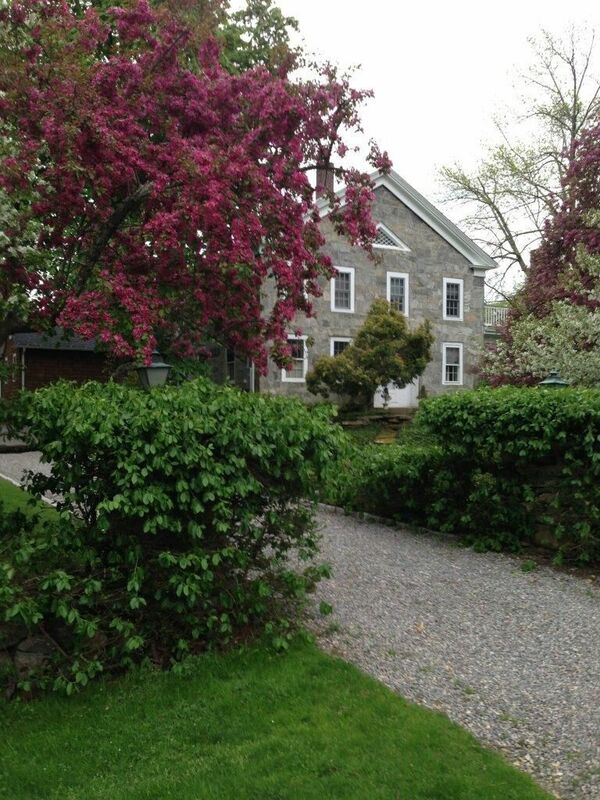 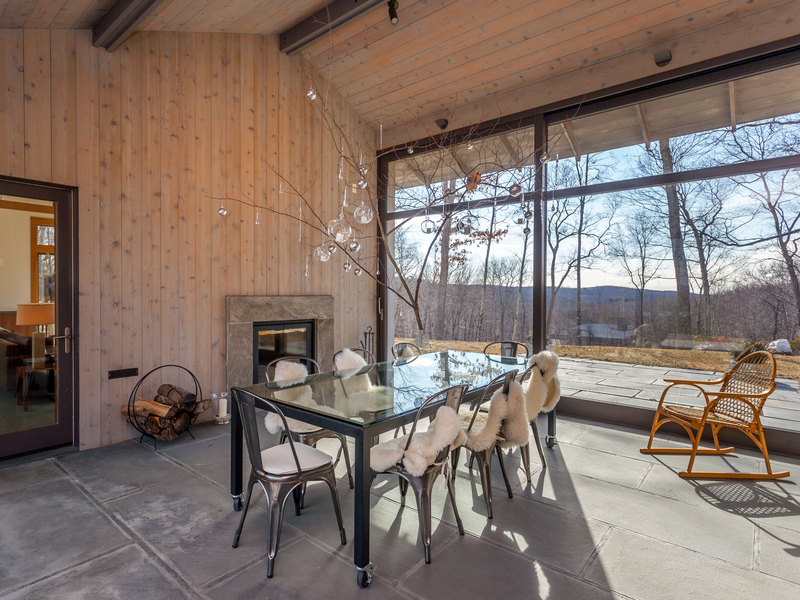 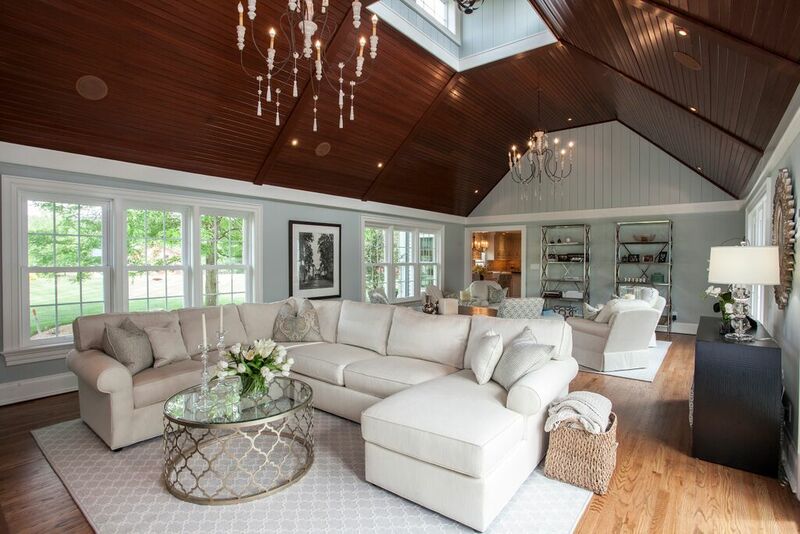 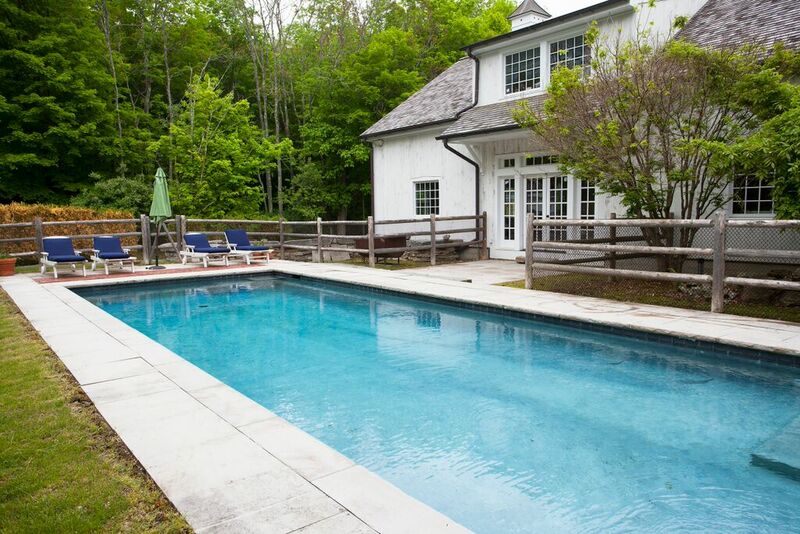 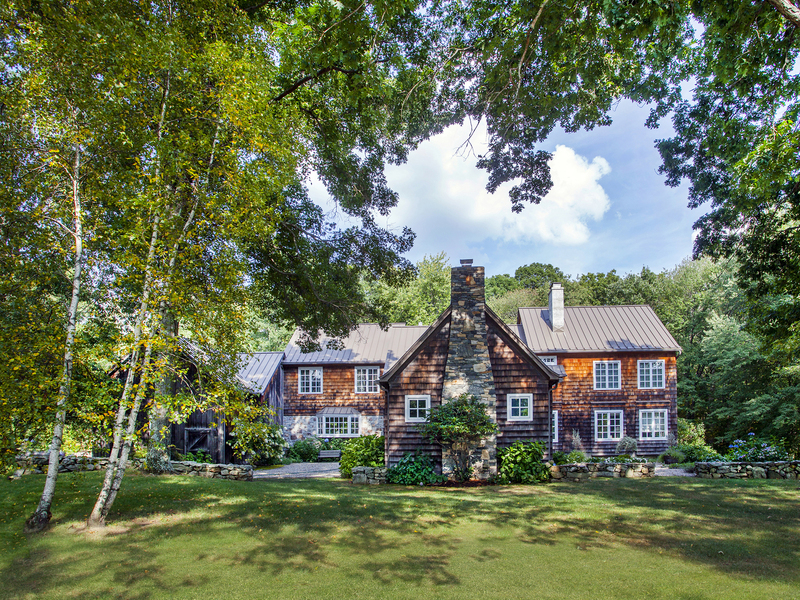 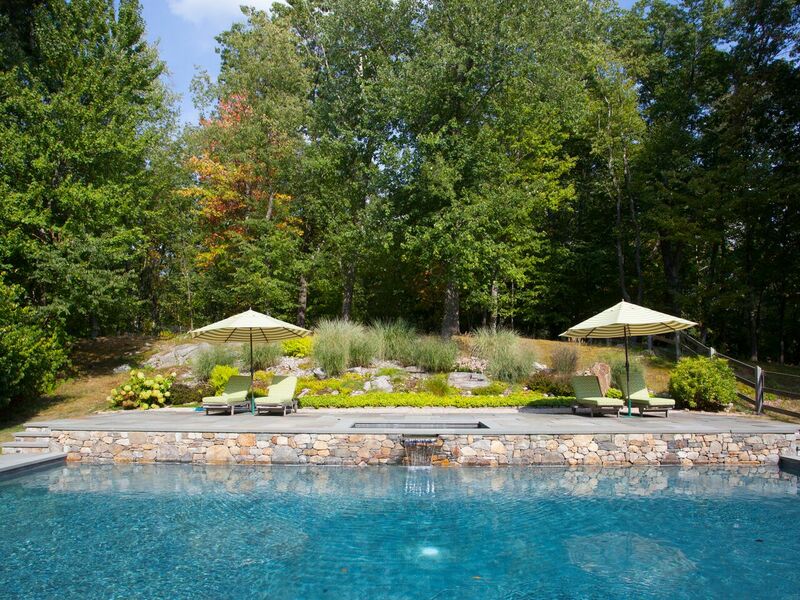 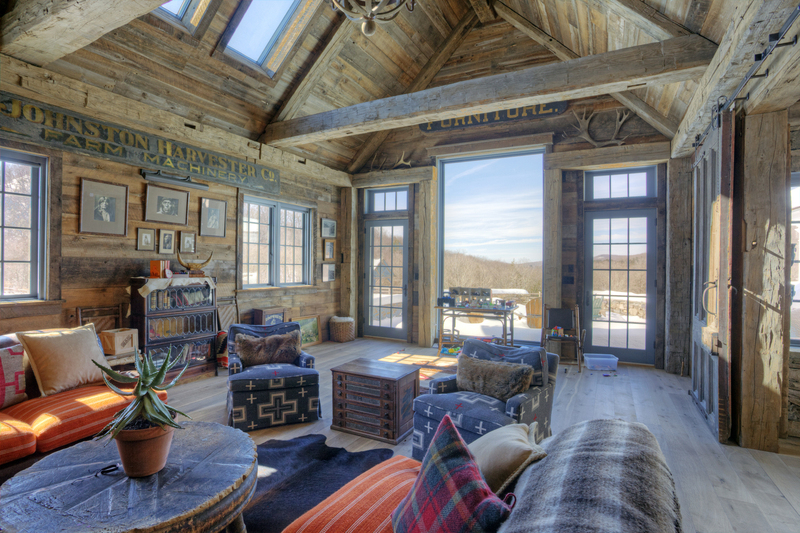 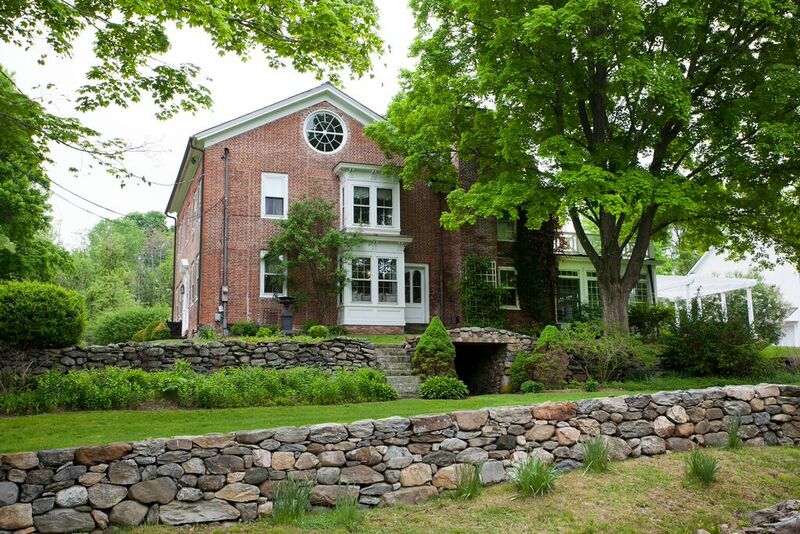 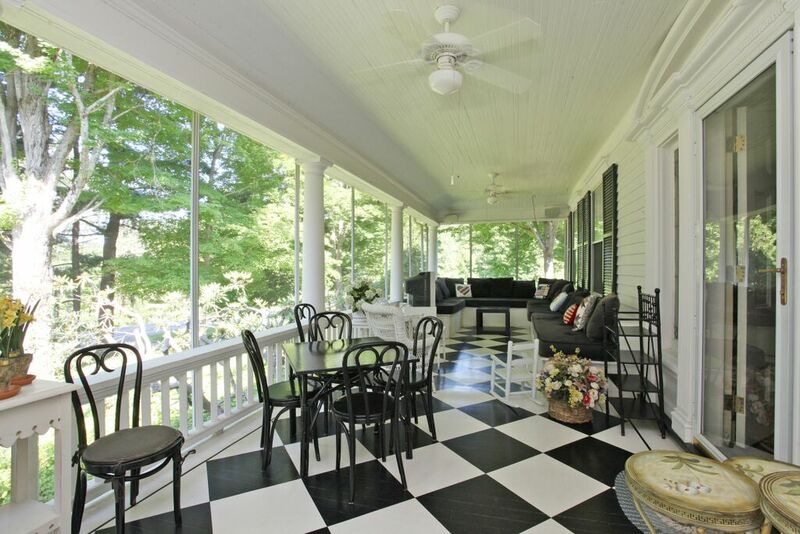 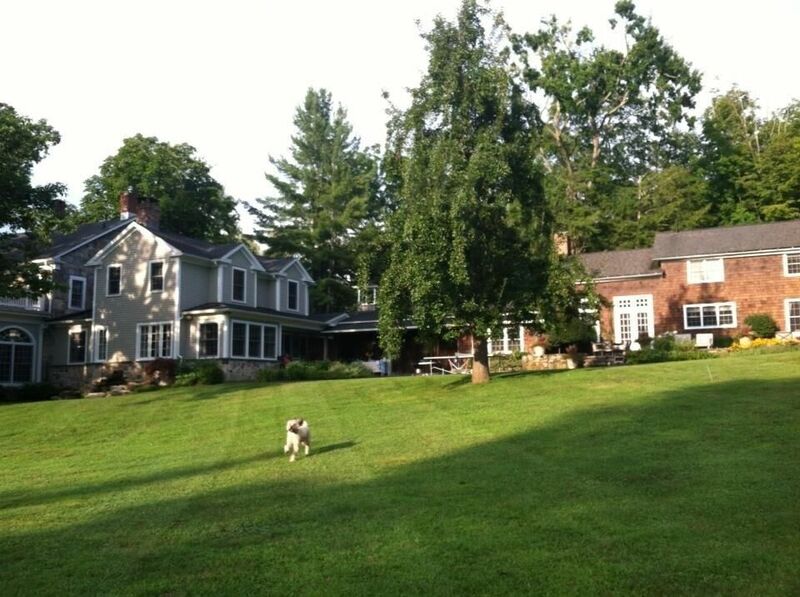 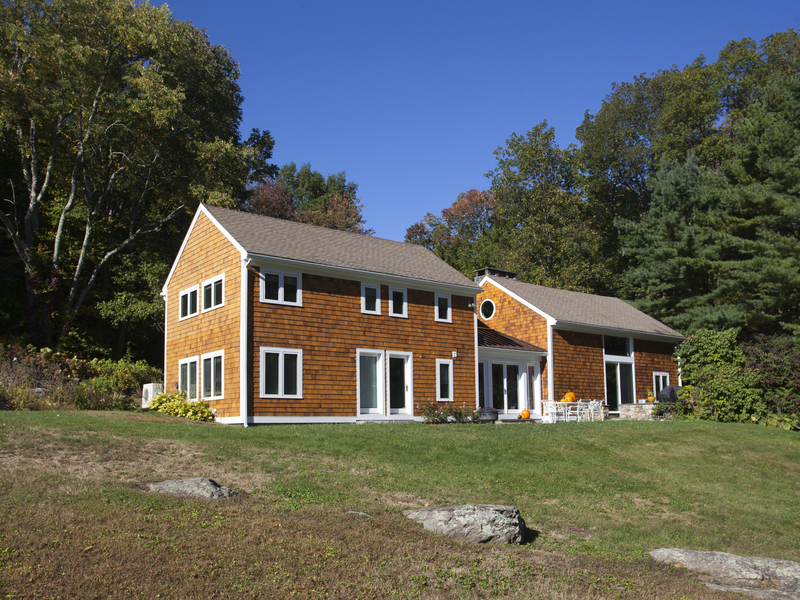 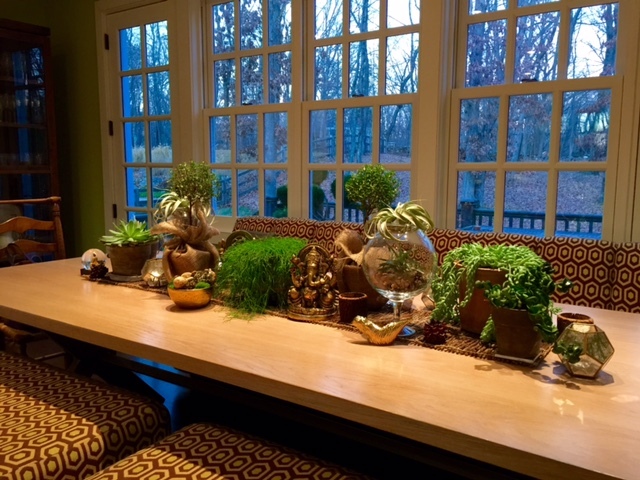 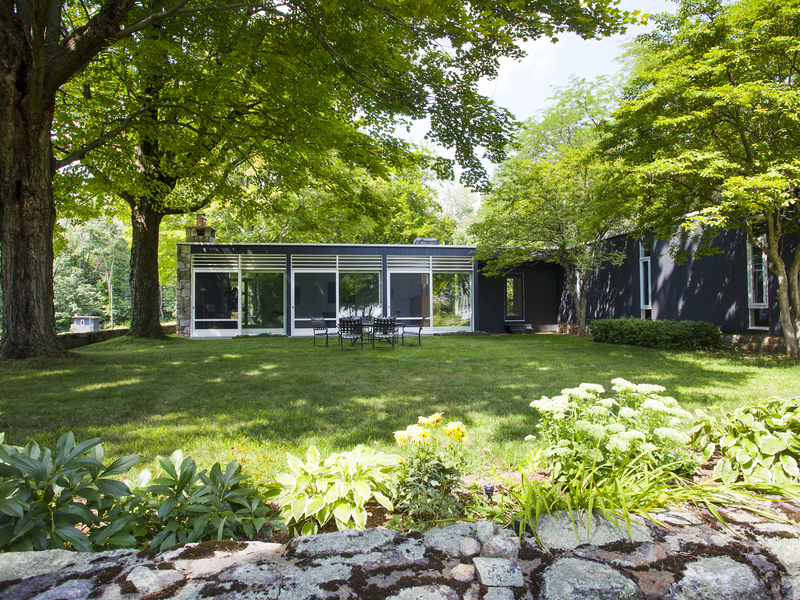 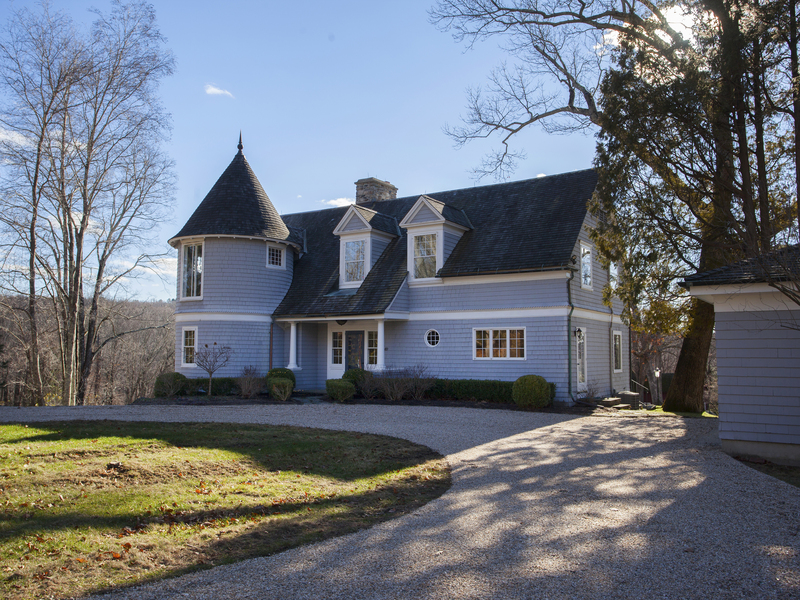 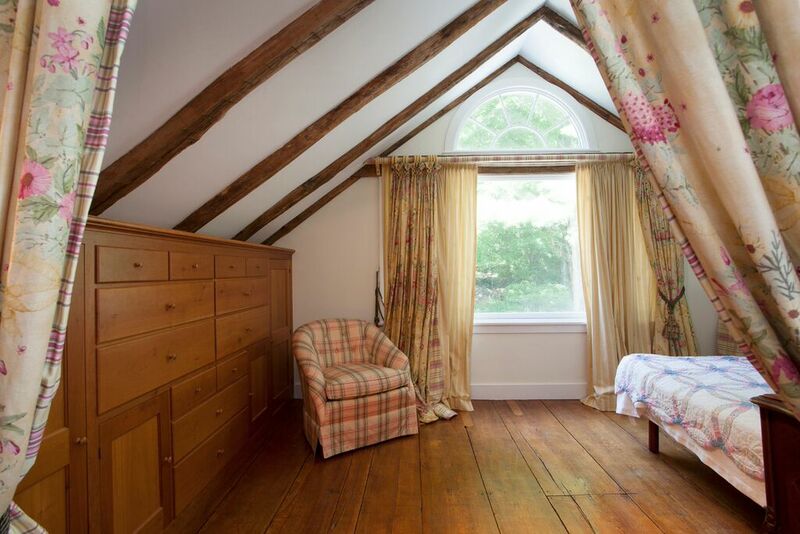 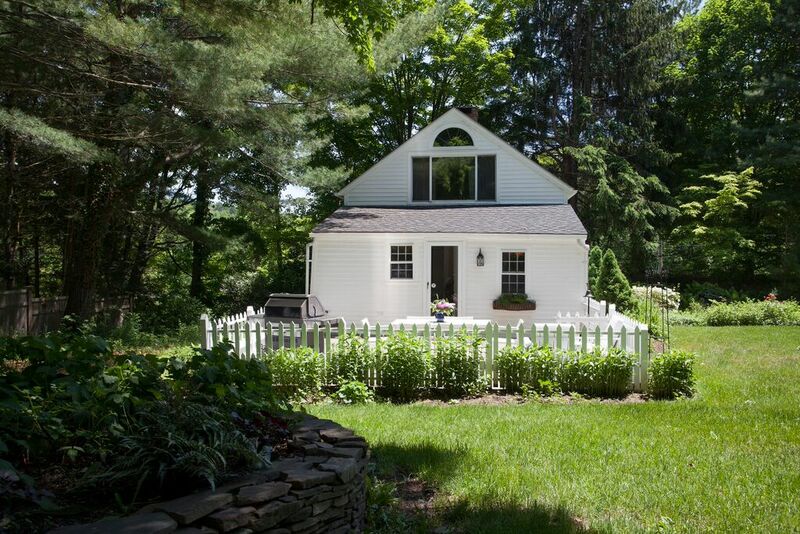 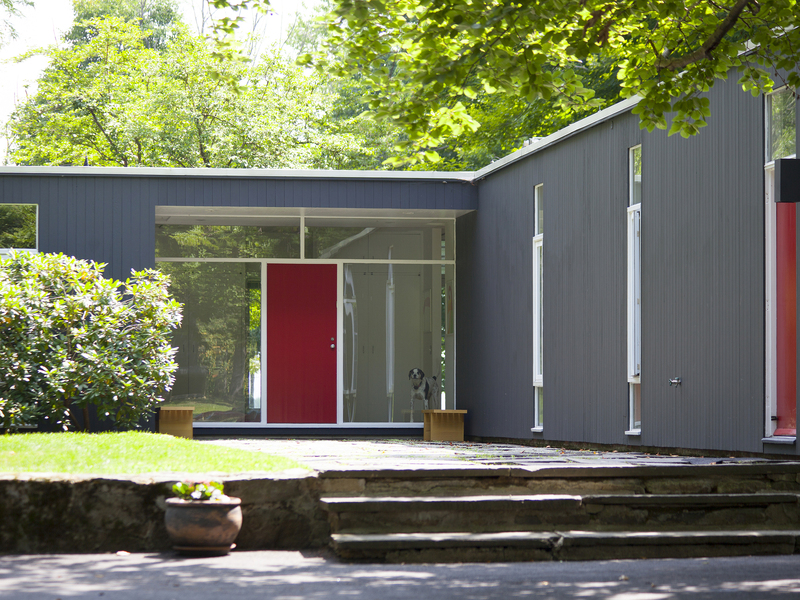 This is a perfect house and village for a weekend getaway in Litchfield County. 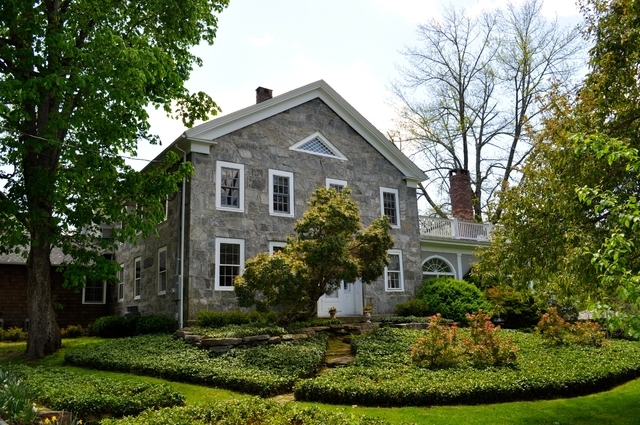 The house is under ten minutes to the restaurants of Washington and Bantam including Community Table Restaurant, GW Tavern and Al Tavolo well as the many distinctive shops. 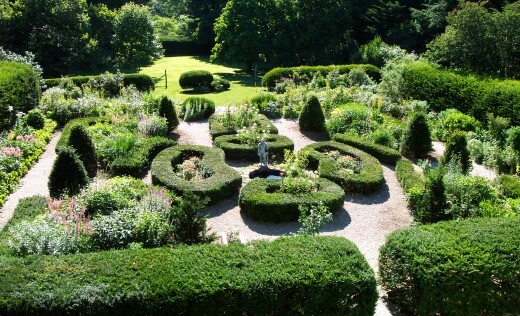 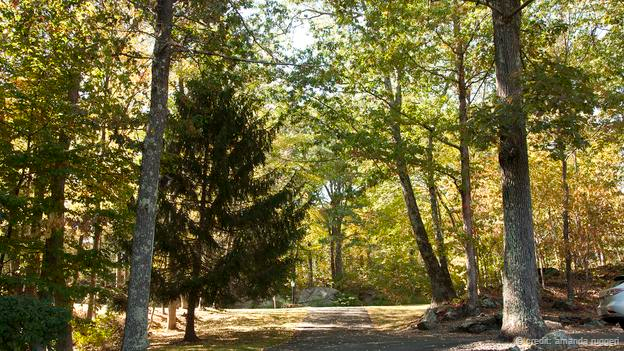 All of this is an easy drive from New York City in just ninety minutes. 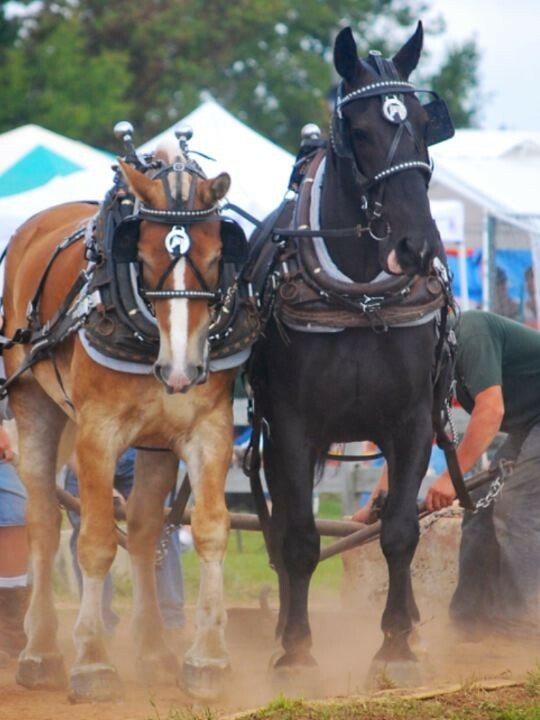 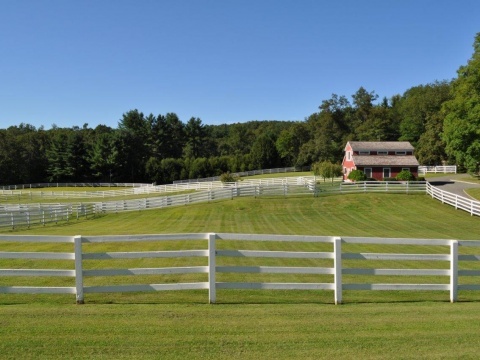 Equestrians love the beautiful countryside in Litchfield County, the trails in Steep Rock Preserve and the world-class centers for instruction and horse shows. 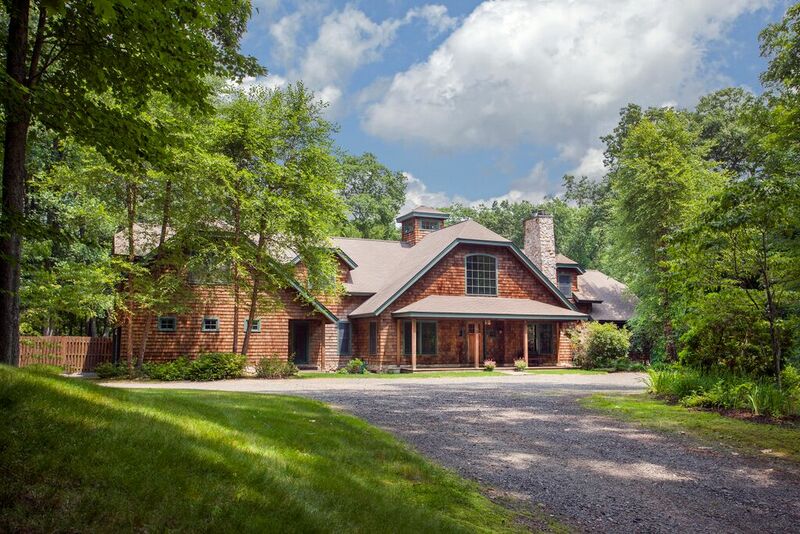 Here we highlight two stunning properties with every amenity for horse and rider as well as two of the area centers. 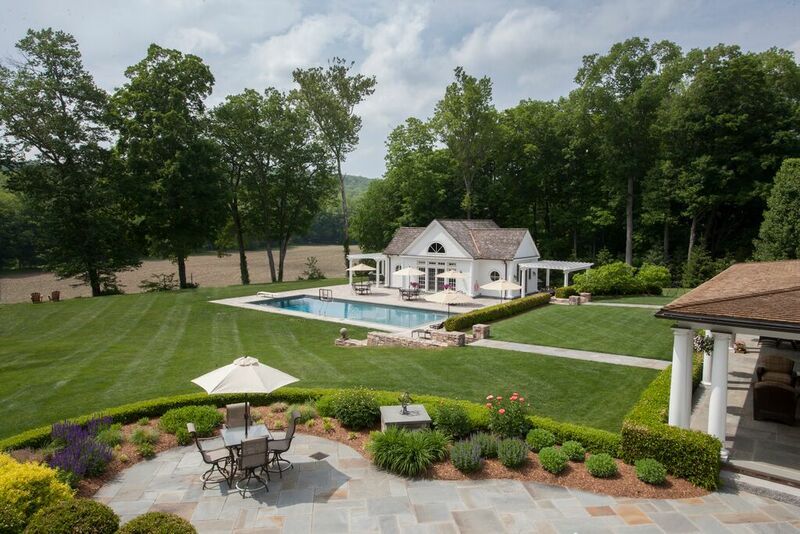 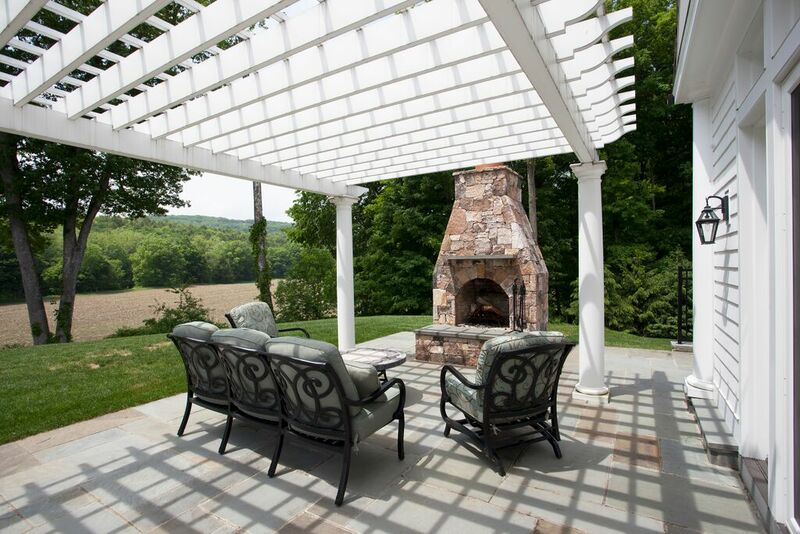 This magnificent equestrian property in Washington, CT has every amenity for horse and rider to enjoy country life. 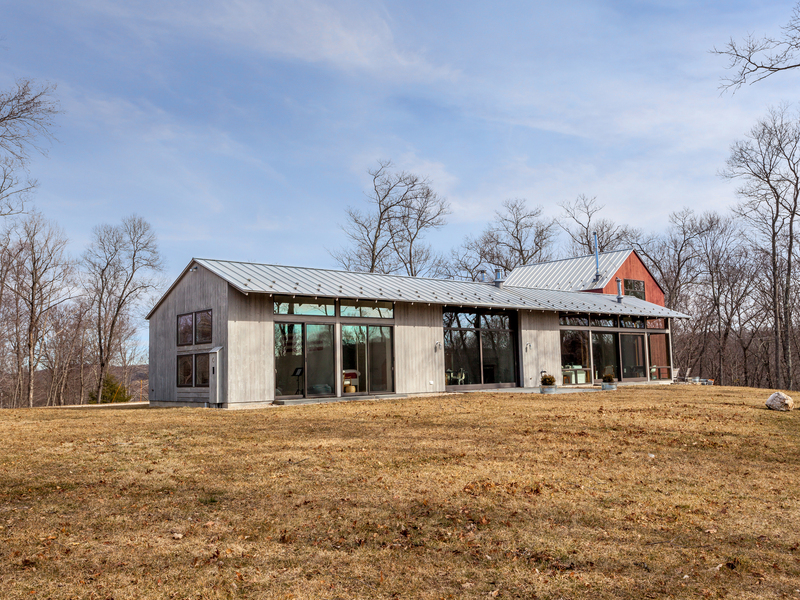 There is a 8, 800+/- sq. 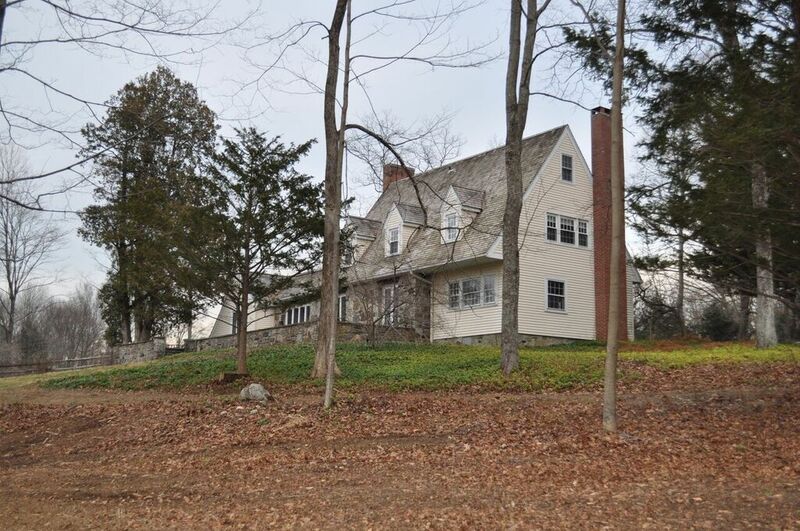 ft main house with 7 bedrooms and 6 full/ 3-1/2 baths. 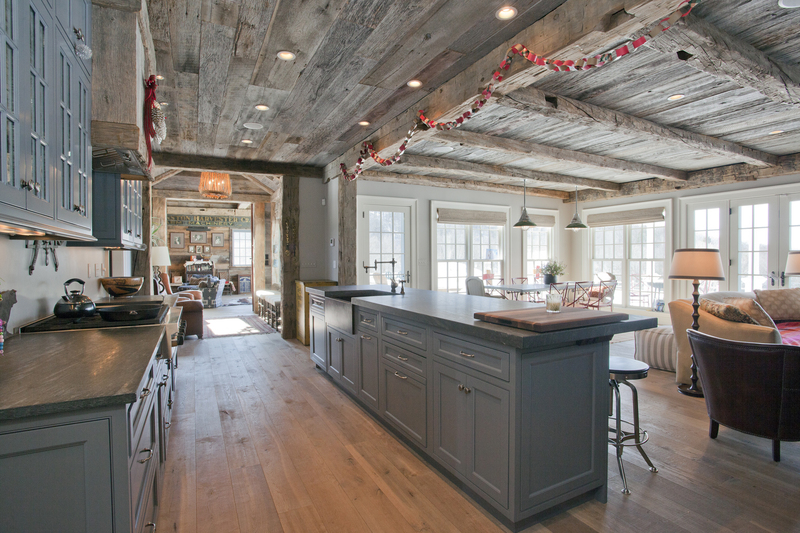 The chef's kitchen opens to a family room and breakfast nook which look out to the pool. 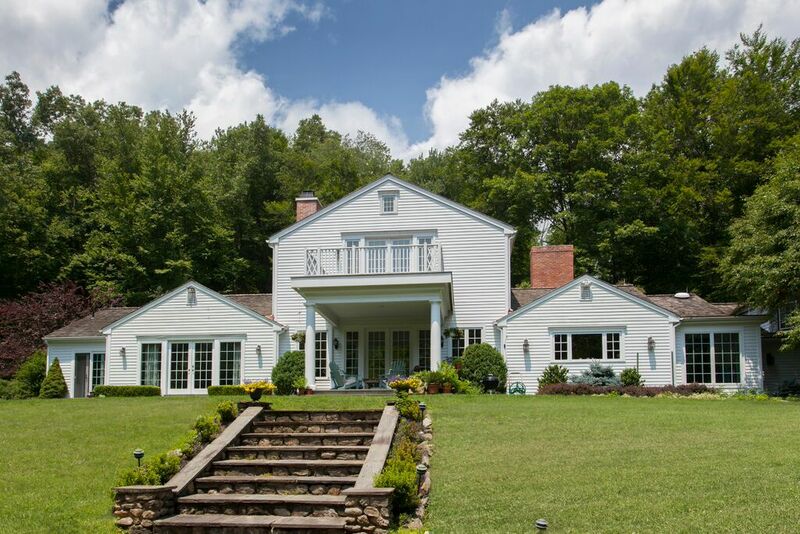 Multiple outbuildings include: barn-style pool house/game room with baths and changing rooms, guest house, studio with several offices and 16 stall horse barn with large paddock areas. 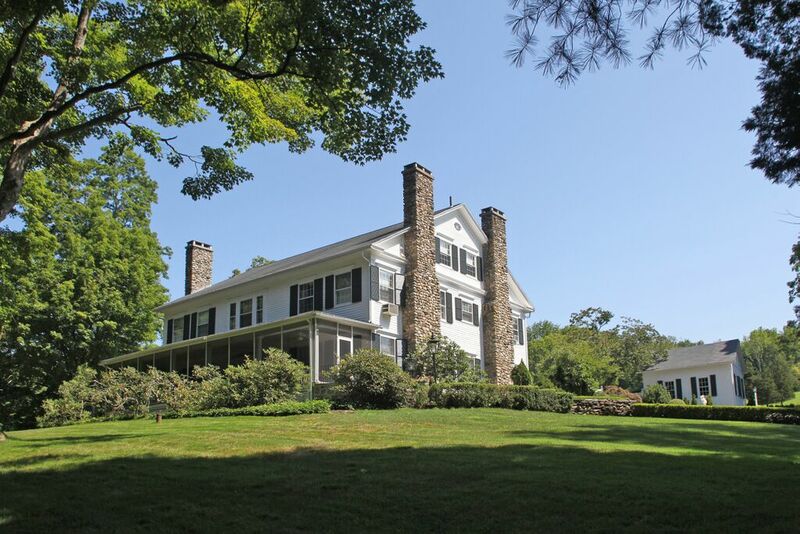 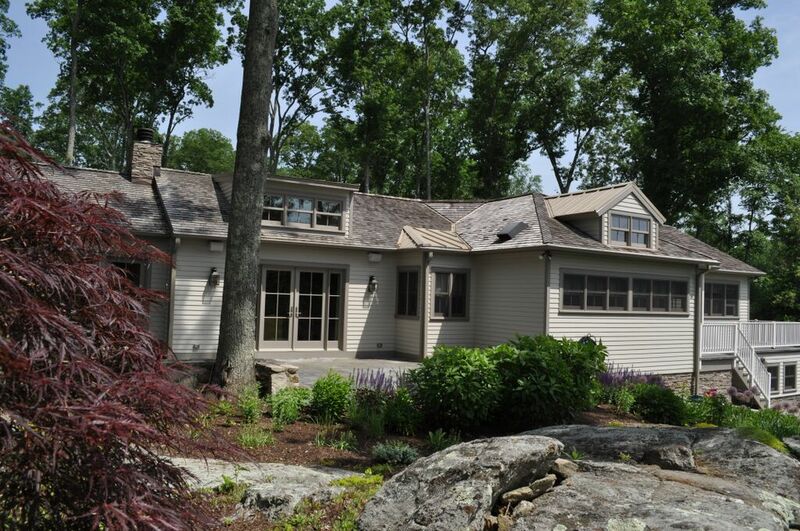 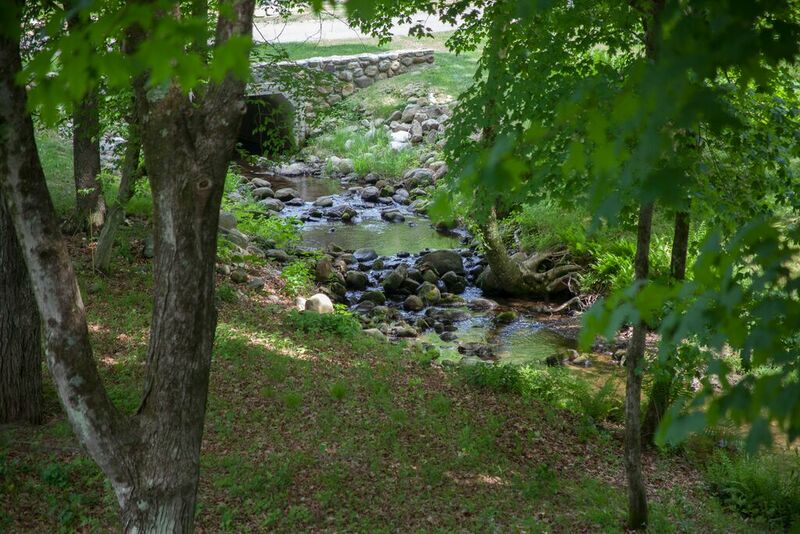 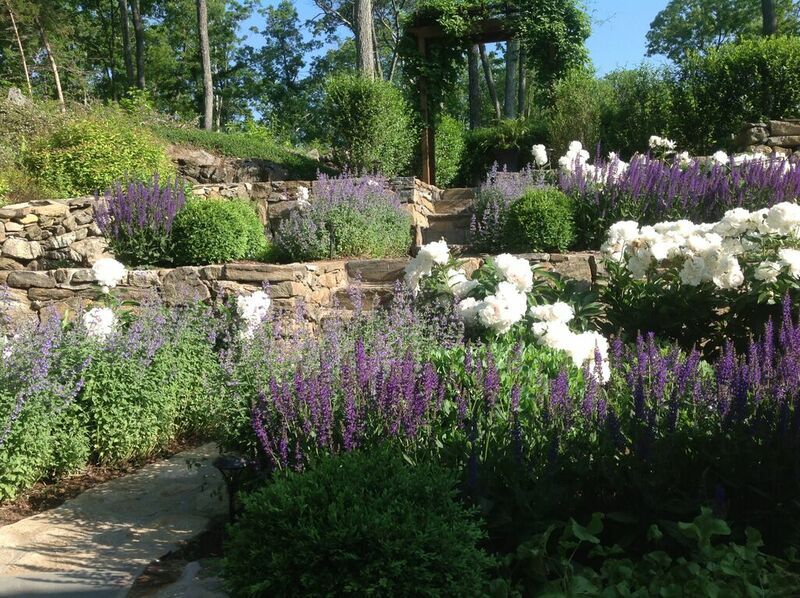 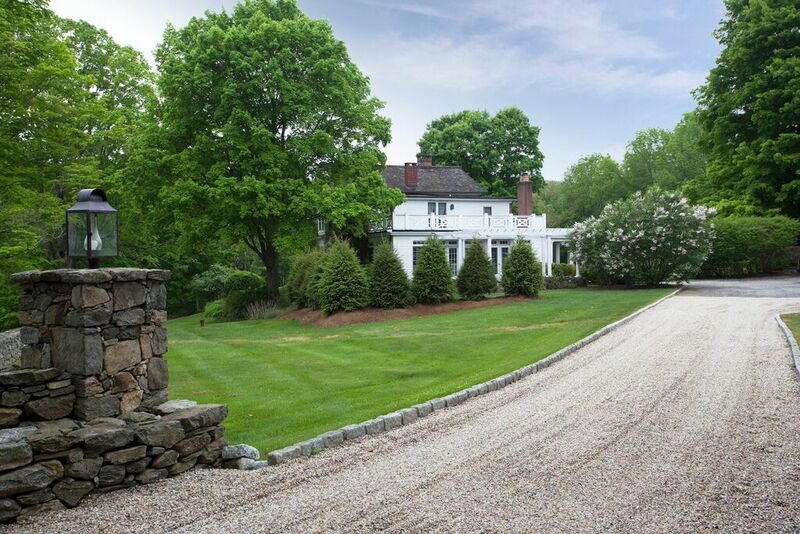 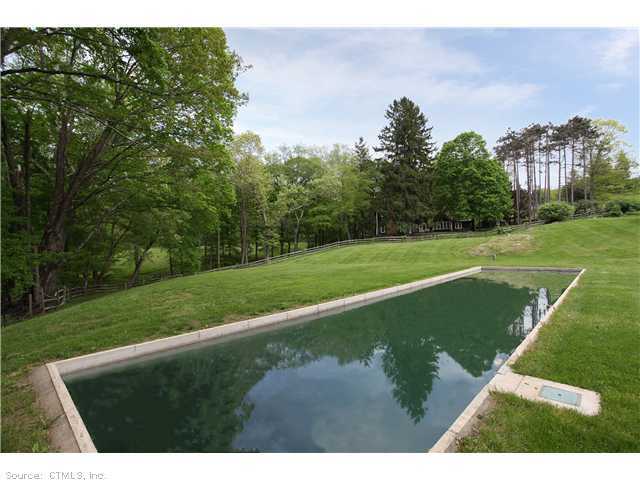 All this is set behind stone walls and mature landscaping on 20+/- acres directly adjacent to steep rock land trust. 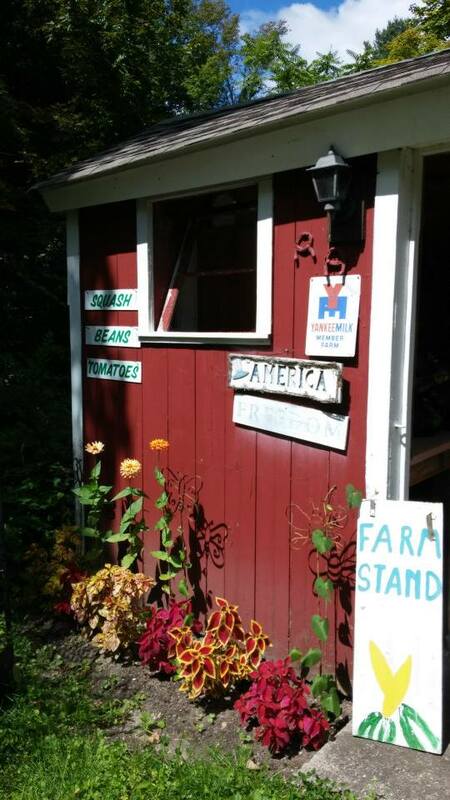 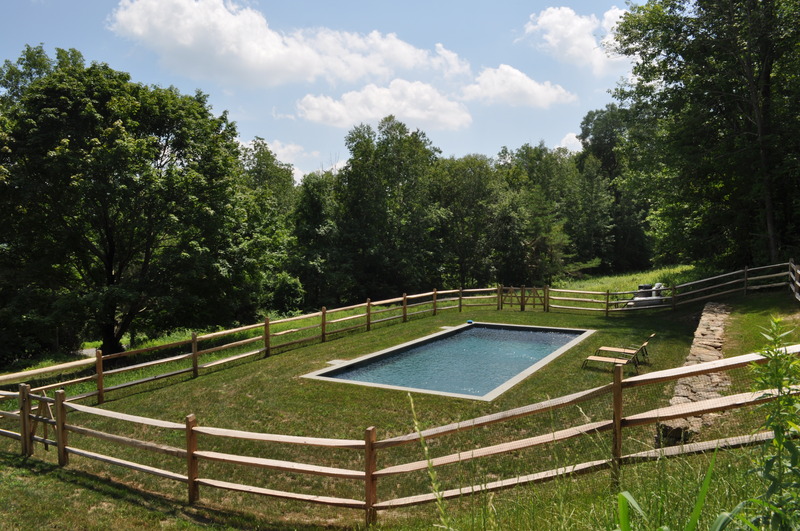 You can ride horses directly from the property along the Shepaug river and through thousands of acres of conserved land. 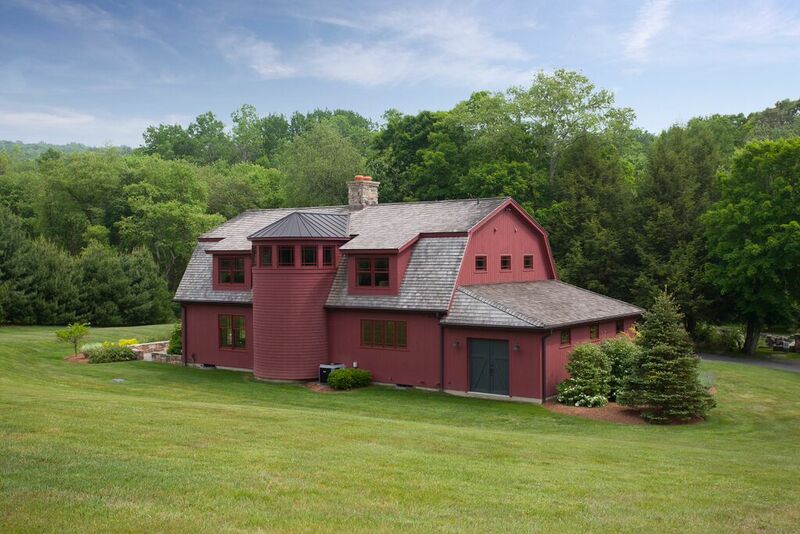 A charming red rustic barn beautifully situated on an open field among the paddocks. 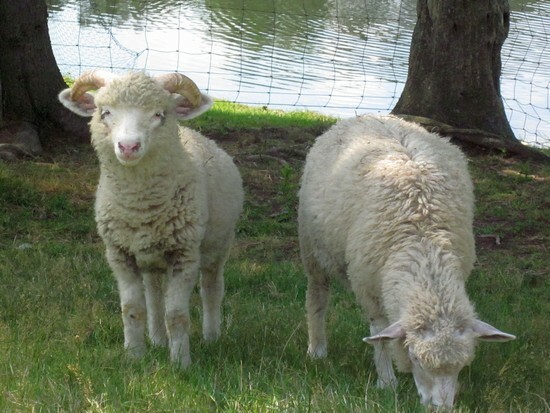 Plenty of room for grazing and turn out. 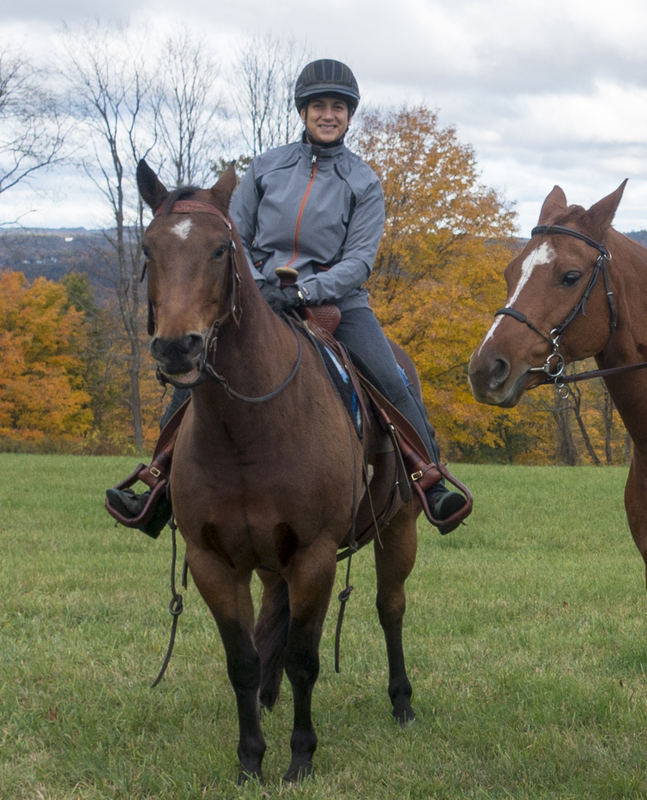 The Steep Rock Preserve offers many miles of trails that are perfect for hacking out with your horse. 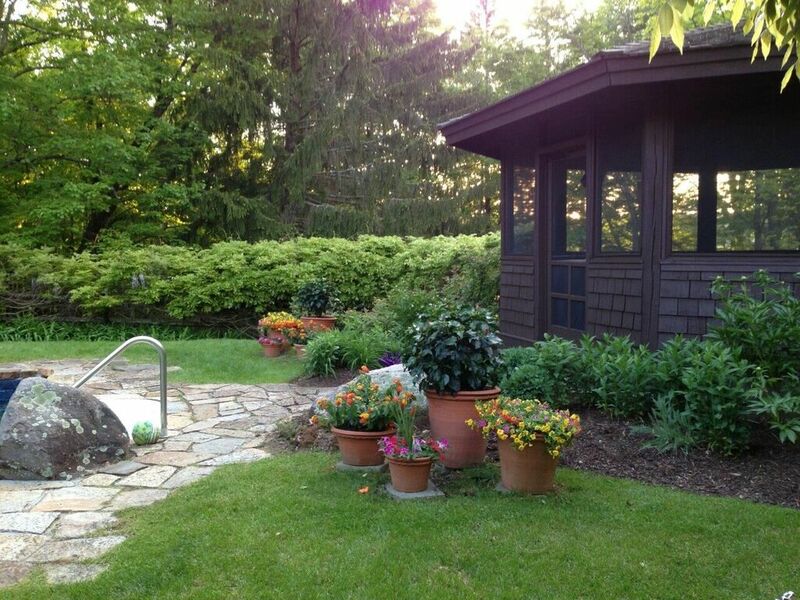 Here is our friend Kisten Feldman, founder of Steep Rock Honey, who we featured in an earlier blog post. 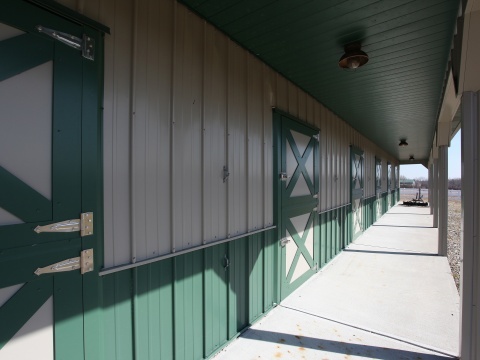 There are many easy access points where you can park your horse trailer and venture out with friends. 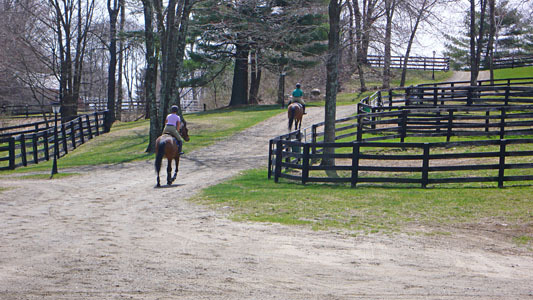 There are some wonderful opportunities for instruction in the area with top trainers. 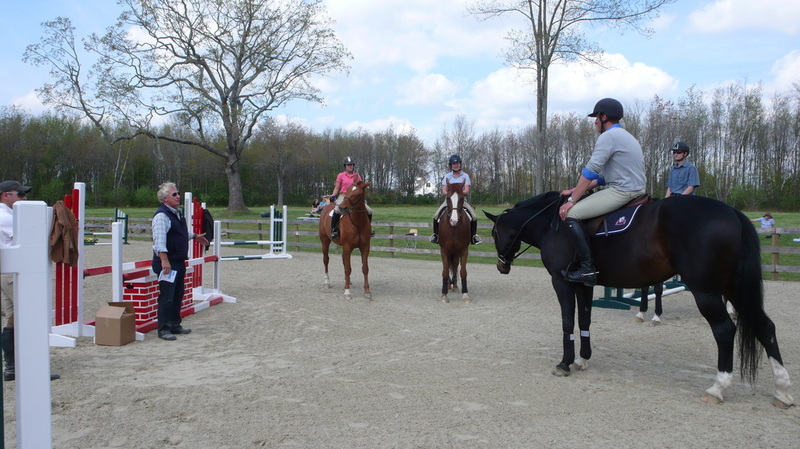 Here is clinic at the Washington Equestrian Center with renowned professional Frank Madden. 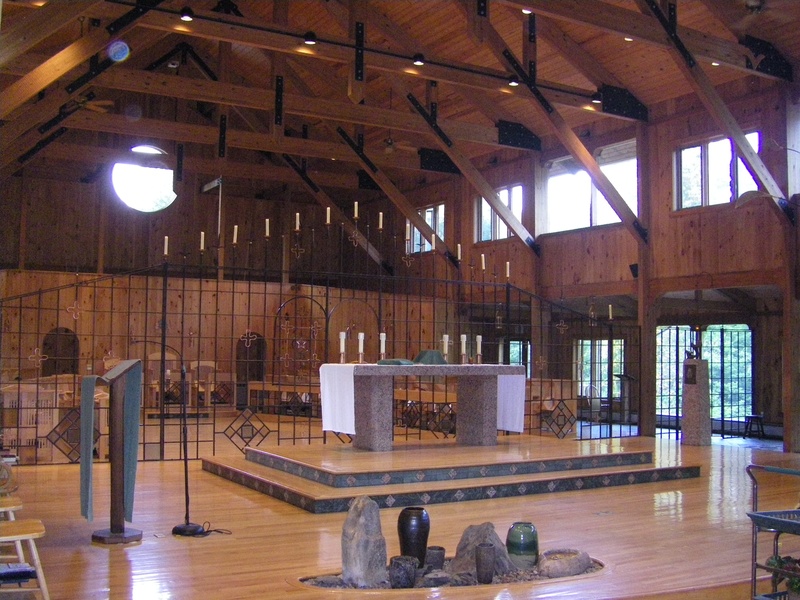 This facility has a spacious indoor for winter exercise. 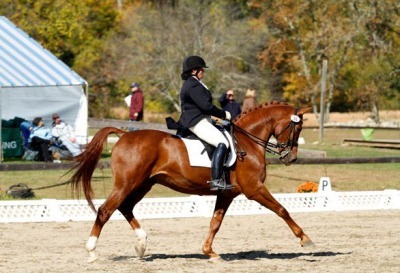 Another area riding center, White Bridge Farm, has exceptional instructors like Katja Eilers who is a successful dressage competitor and trainer. 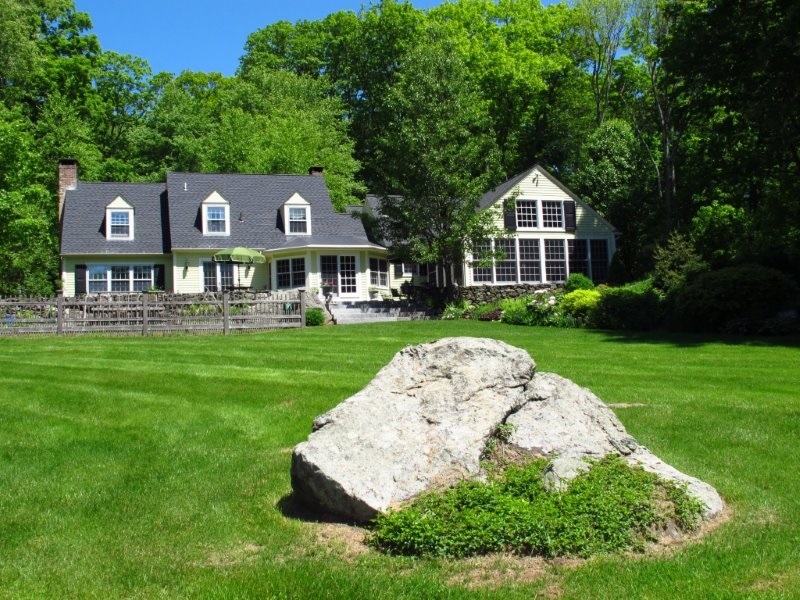 This equestrian center is based in Litchfield, CT.
Close to this trainig center is an another superb esquestrian estate in Goshen, CT. 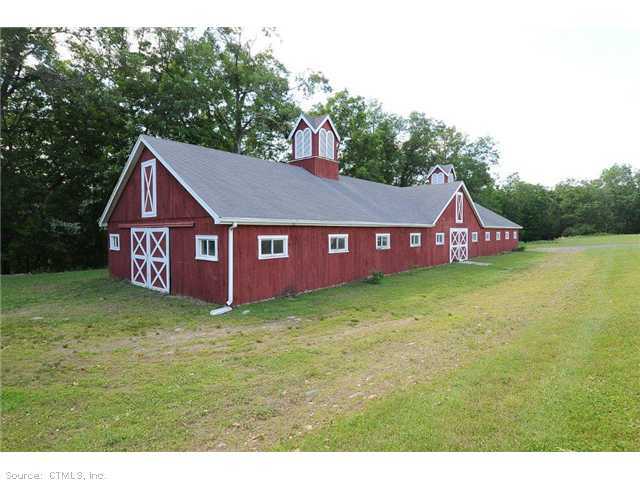 There is 100+/- acres with a 7 stall heated Morton barn, outdoor rings and open spaces to ride your horse. 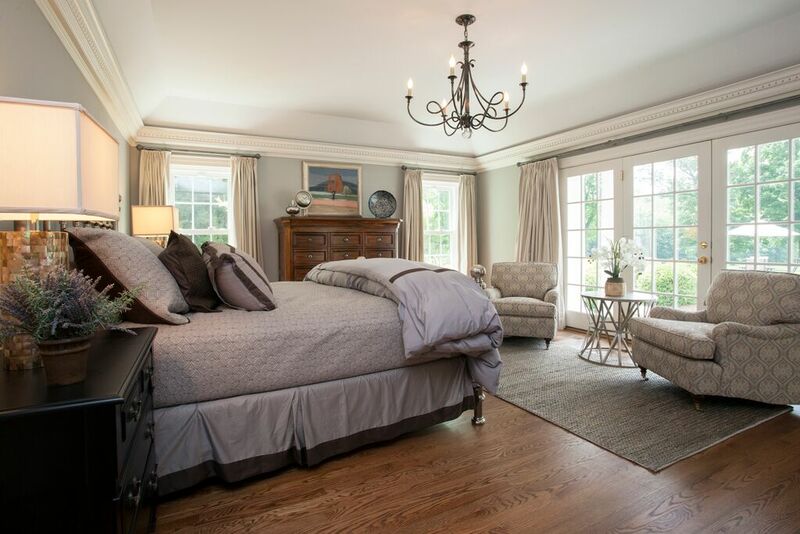 The home is in immaculate condition with a gourmet kitchen, breakfast nook and a main floor master suite. 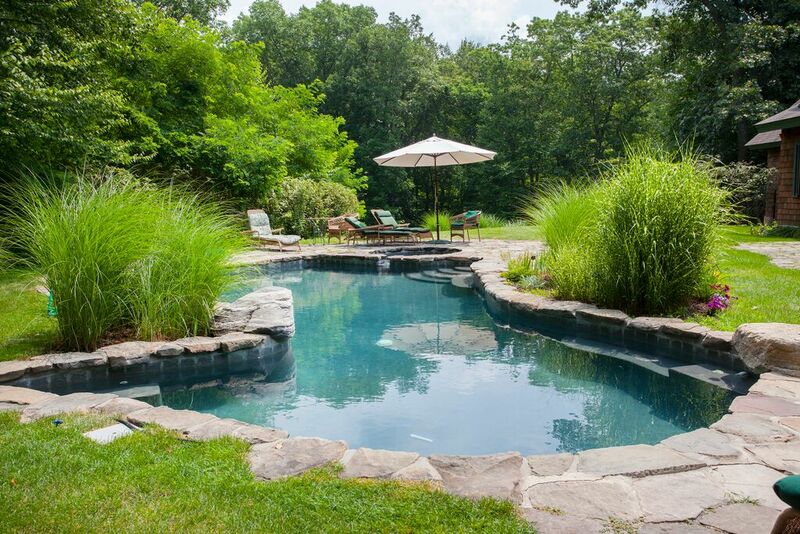 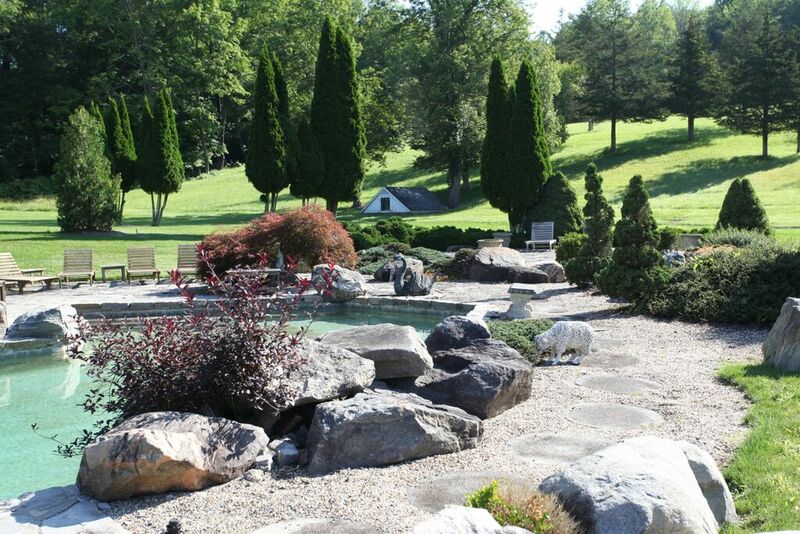 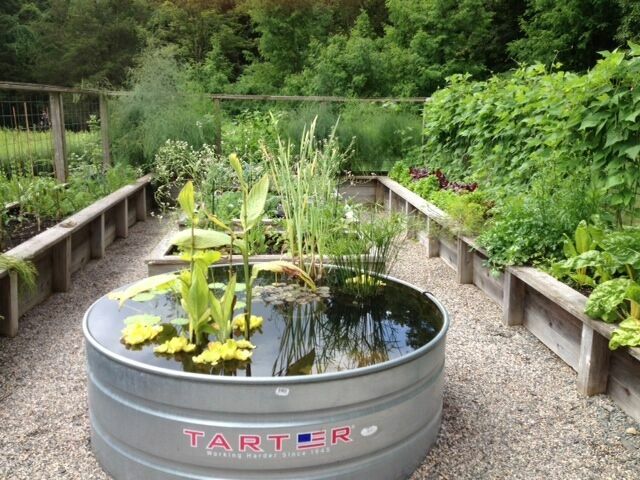 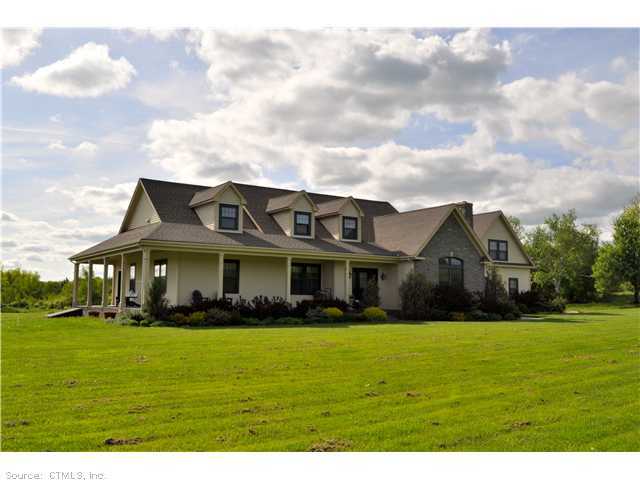 The family room opens to the enclosed pool area and looks over acres of open fields and a large pond. 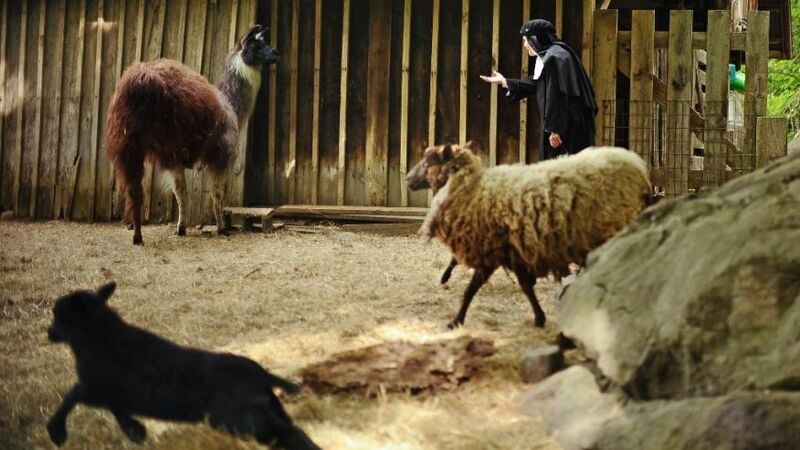 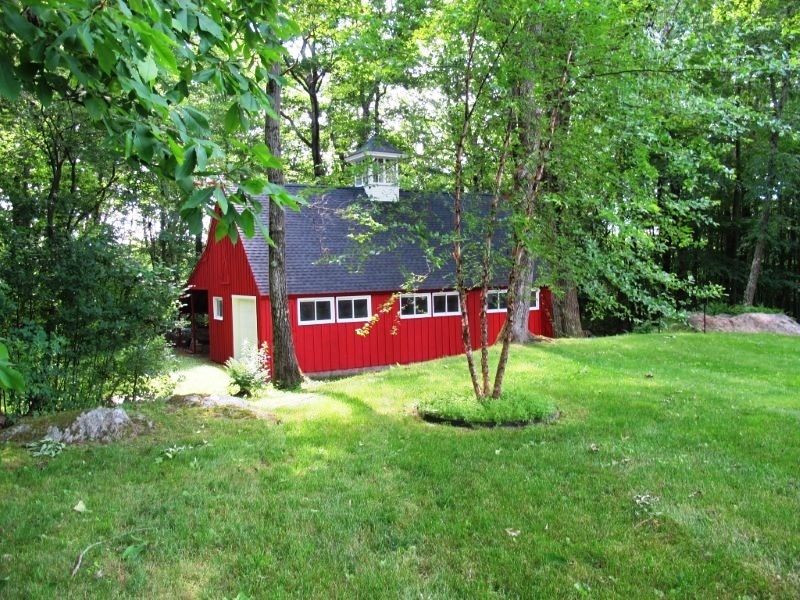 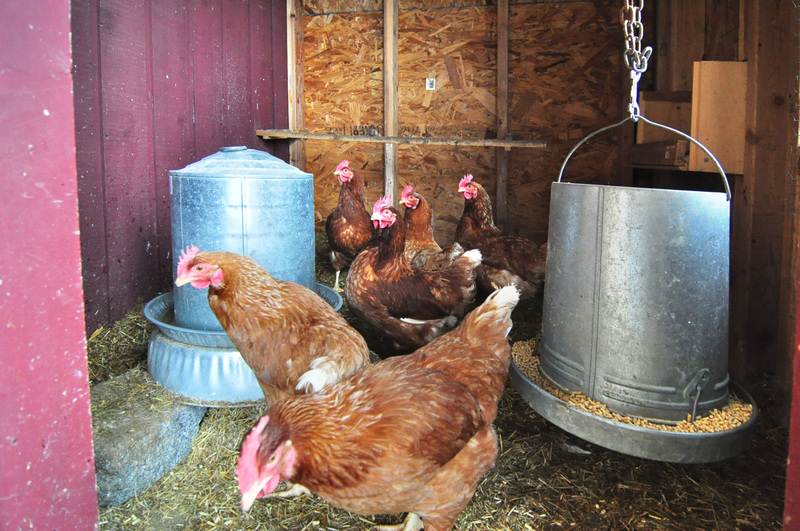 The Heated Barn is in a lovely setting surrounded by trees. 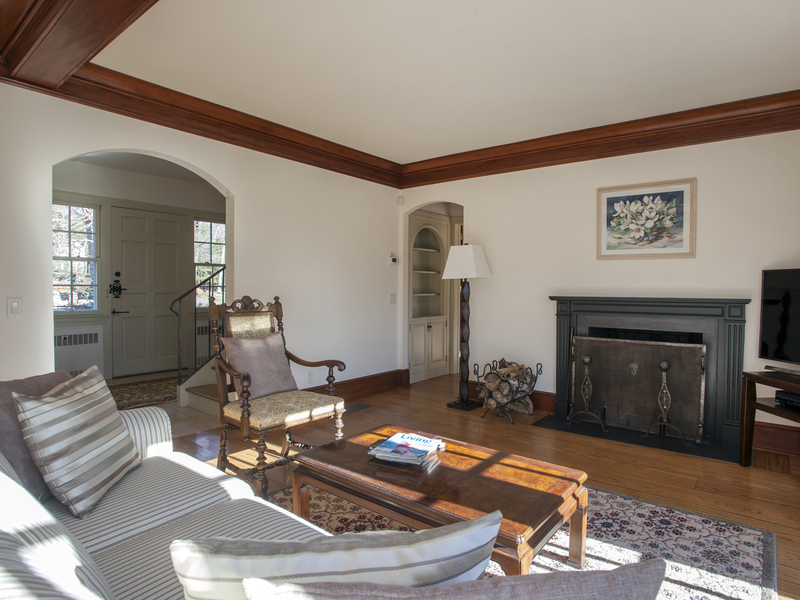 Spacious Areas around the stable make a relaxing environment for horse and rider. 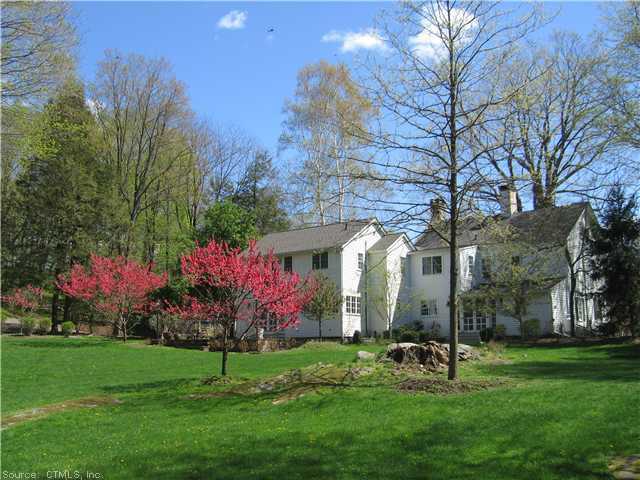 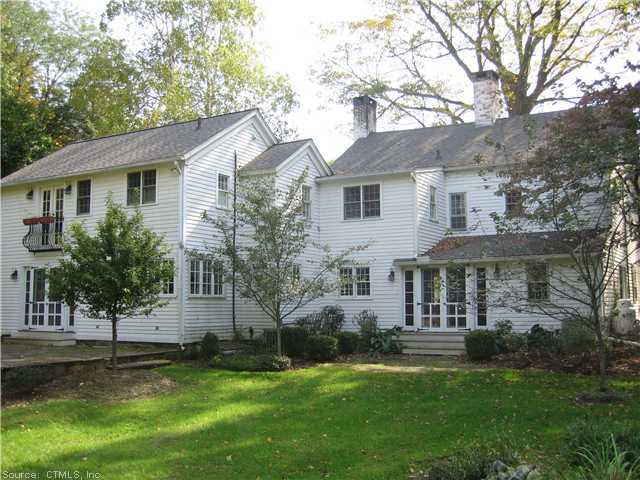 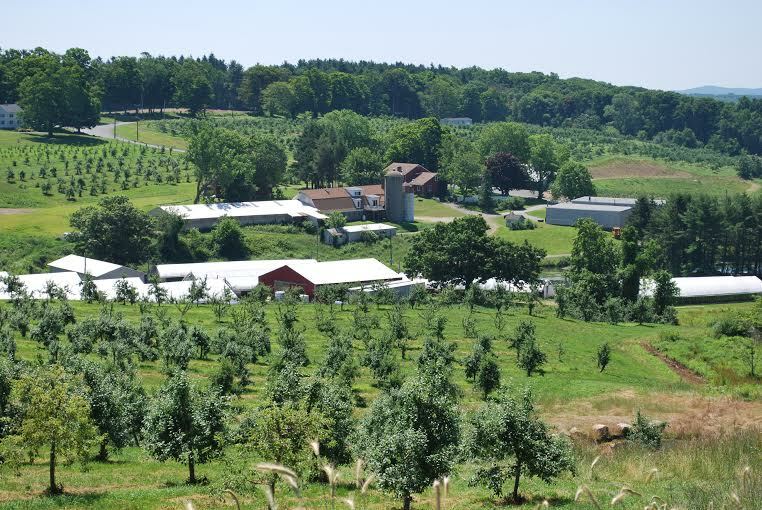 For information on the equestrian property in Washington, CT, click here. 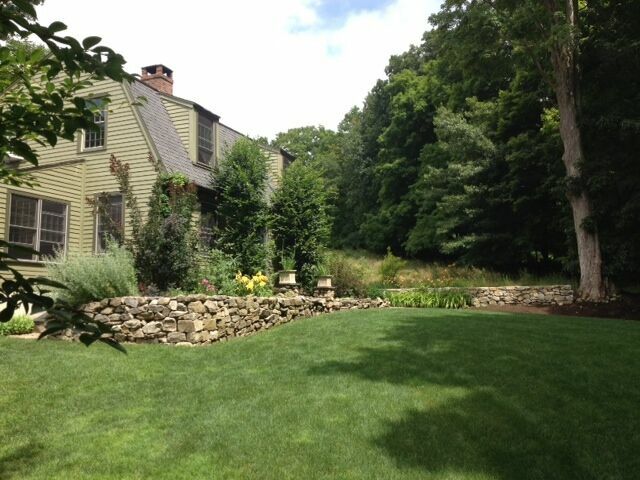 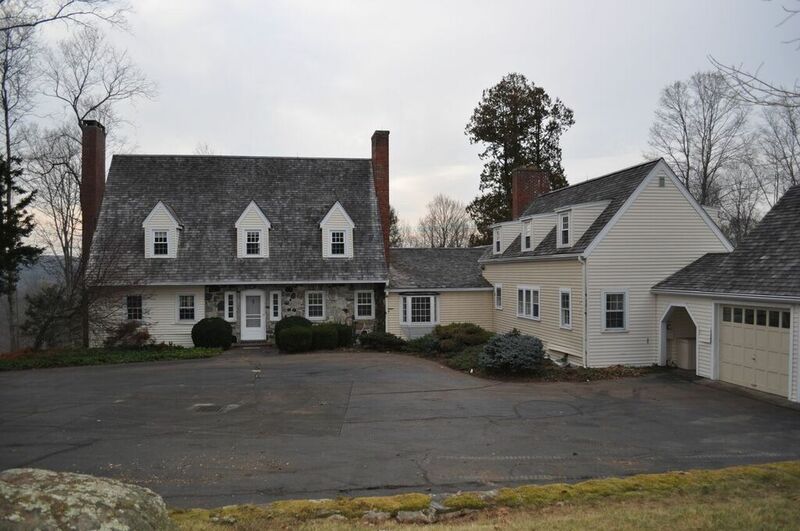 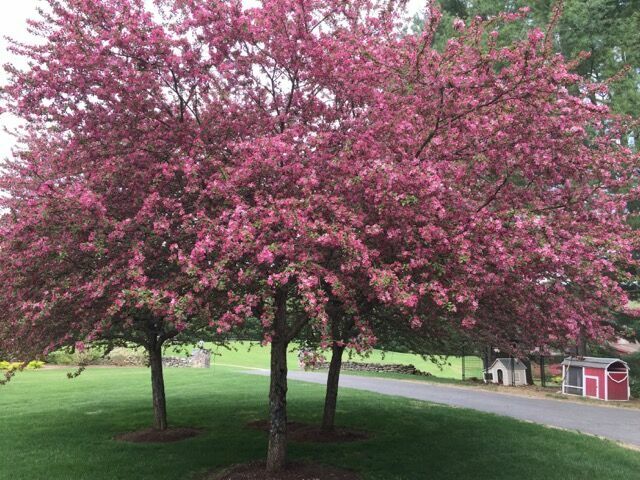 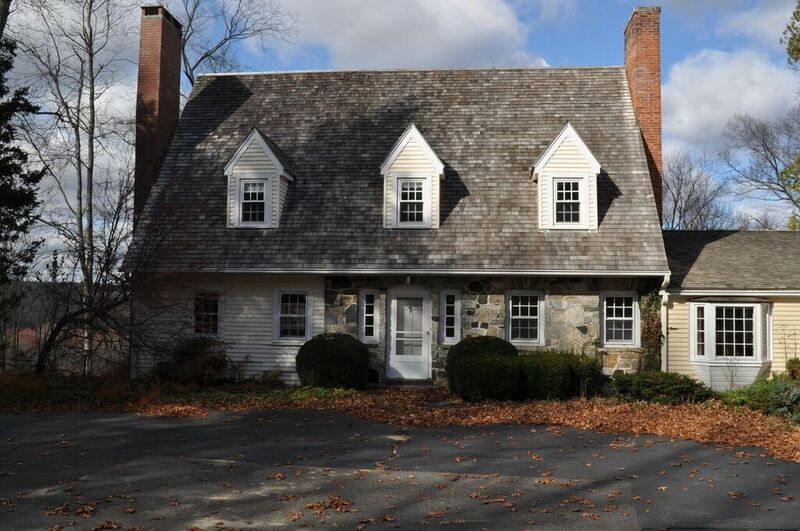 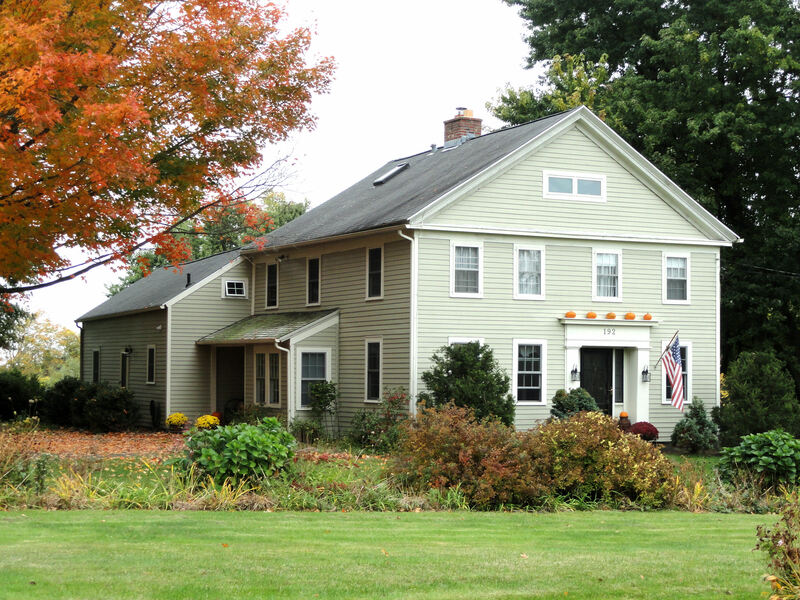 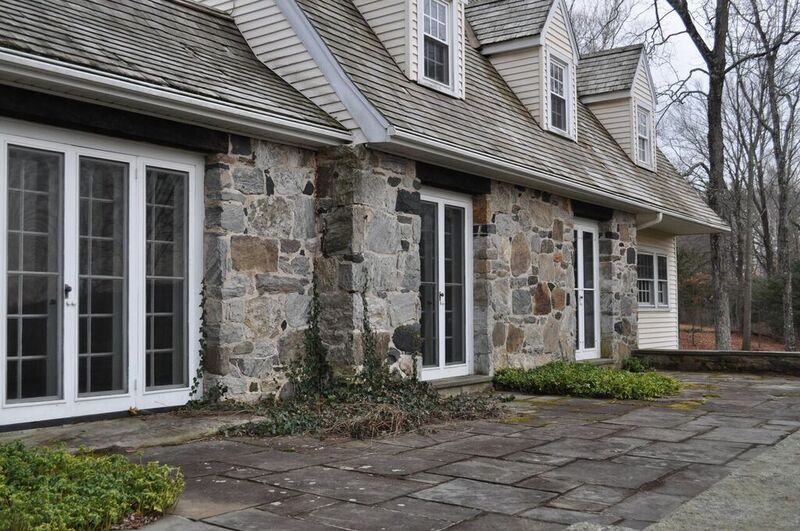 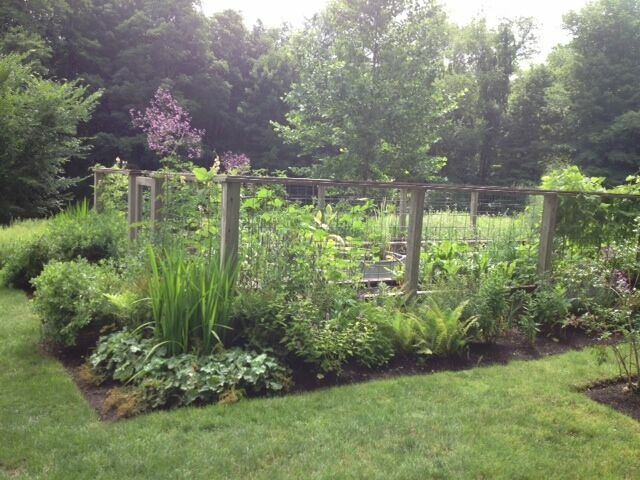 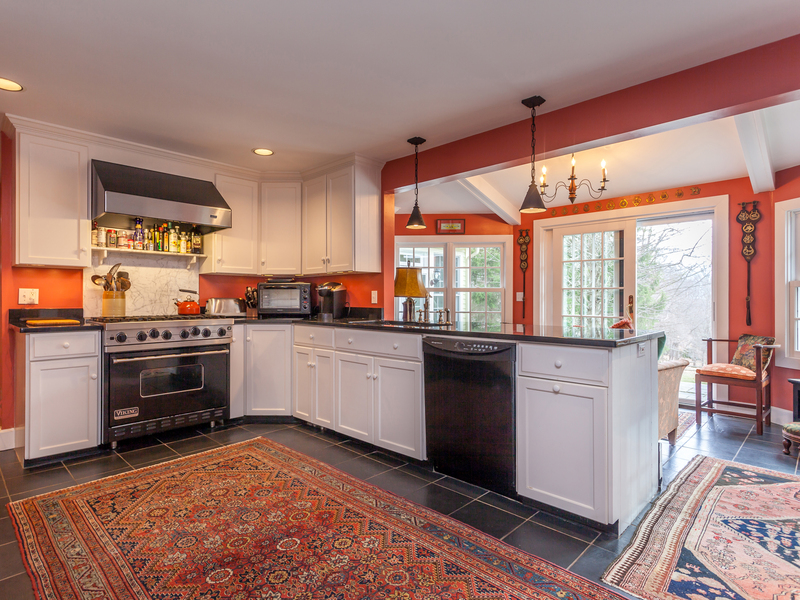 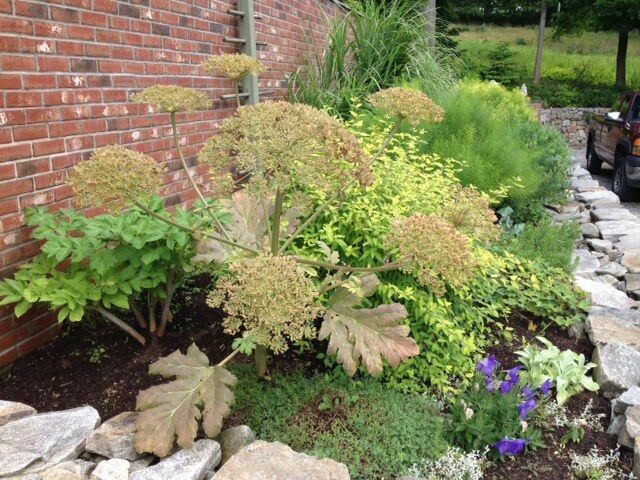 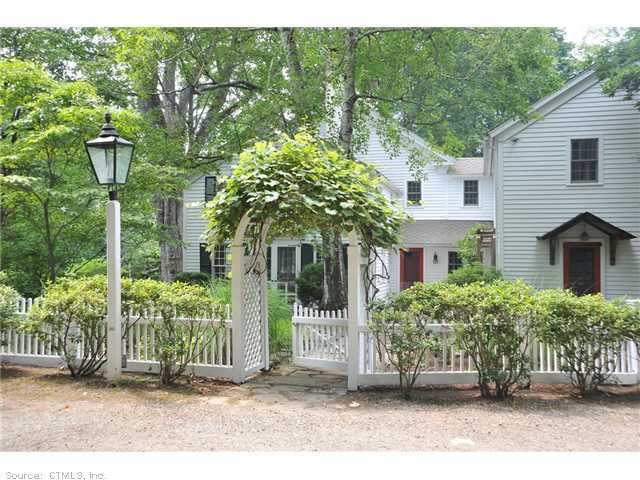 For details on the listing in Goshen, CT, click here.